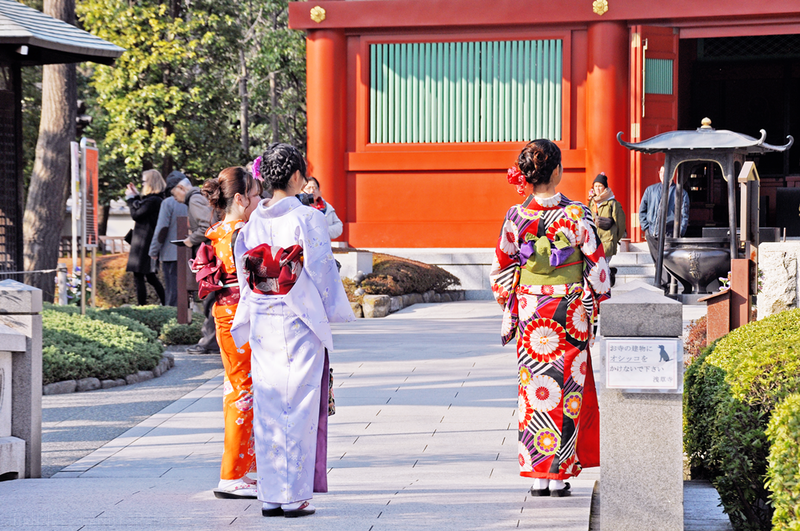 We spent our last full day in Tokyo in Ueno Park! 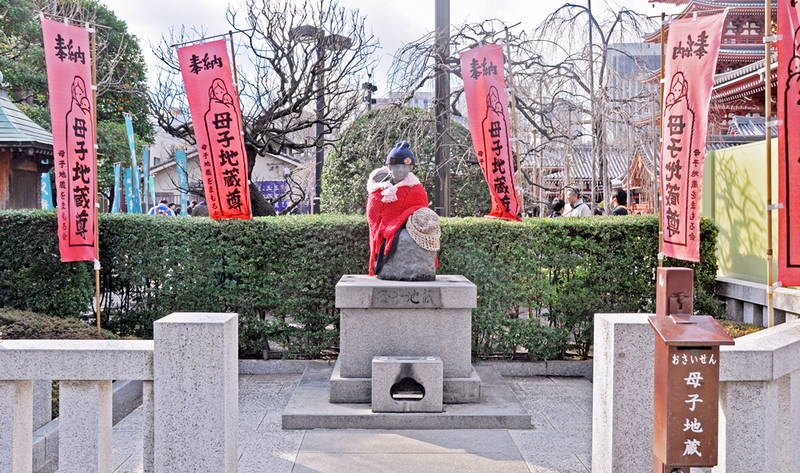 Ueno Park is basically a really huge public park and consists of the Ueno Zoo and a bunch of museums. 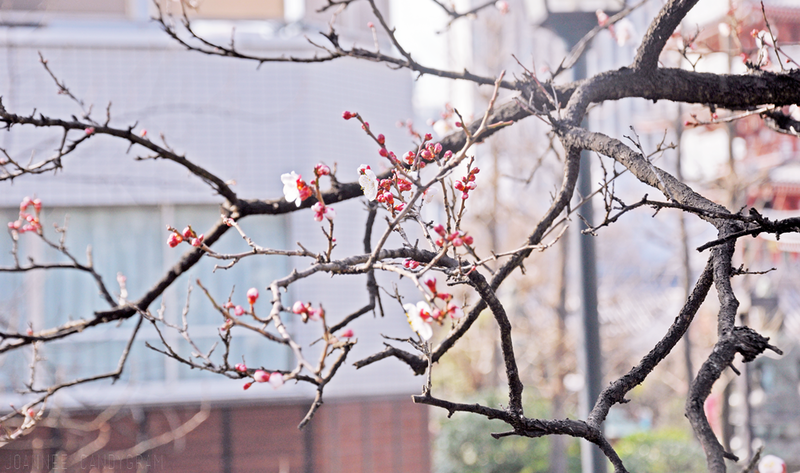 The park is also known for cherry blossom sightings! The cherry blossom trees were barely starting to bloom when we were there and we saw a news anchor reporting the blooming lol! 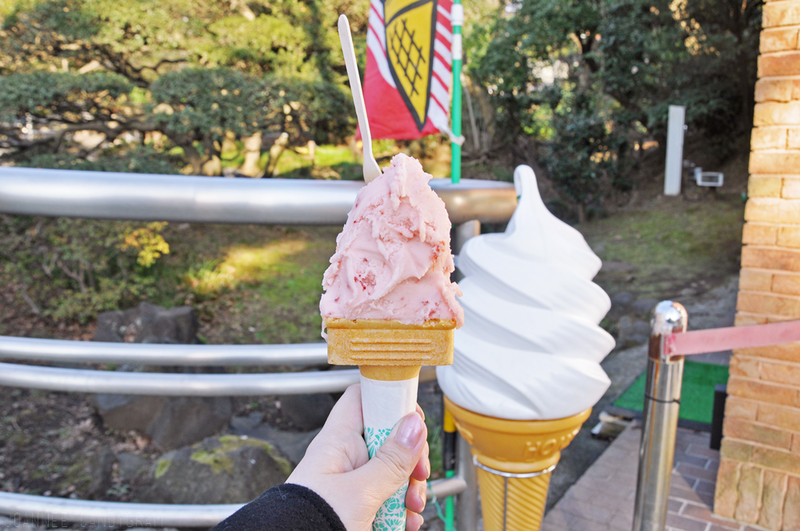 I didnt think I could deal with being outdoors for a whole day (like back home cos it's too friggin hot and sunny) but the weather in Tokyo is always just too perfect! The skies were always blue (for realz like you can see in my photos) and it's always so sunny even though it was during winter! 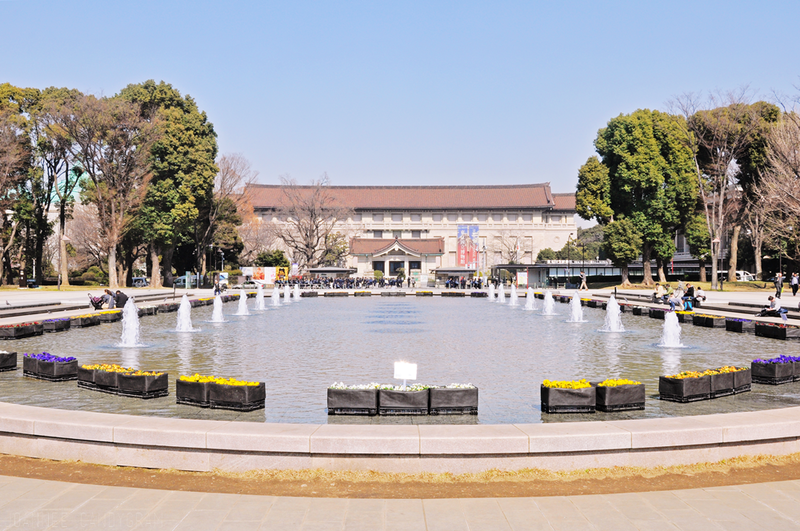 We visited the Tokyo National Museum (picture above)! The museum is really huge and I actually got separated from my fam bam and got lost LOL. 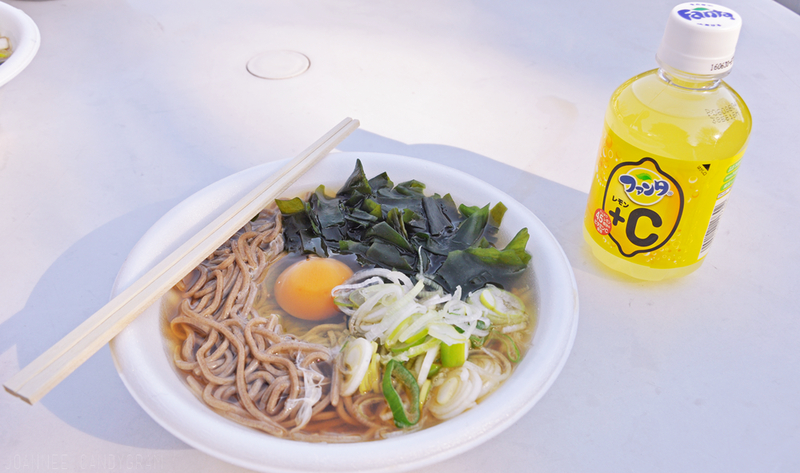 My moonlight & nori soba lunch ft cute mini lemon fanta! 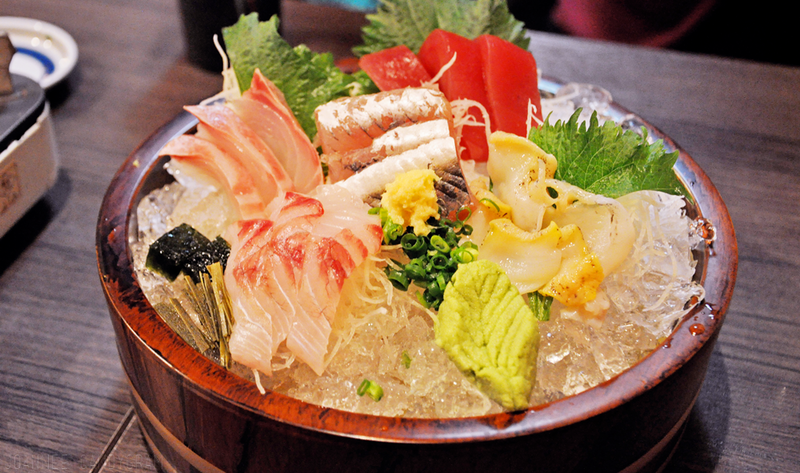 My fifth day in Japan was a good day for food photos cos they were all in focus (unlike my previous ones) lol. I dont like eating soba back home but soba in Japan really is x1000 better!! 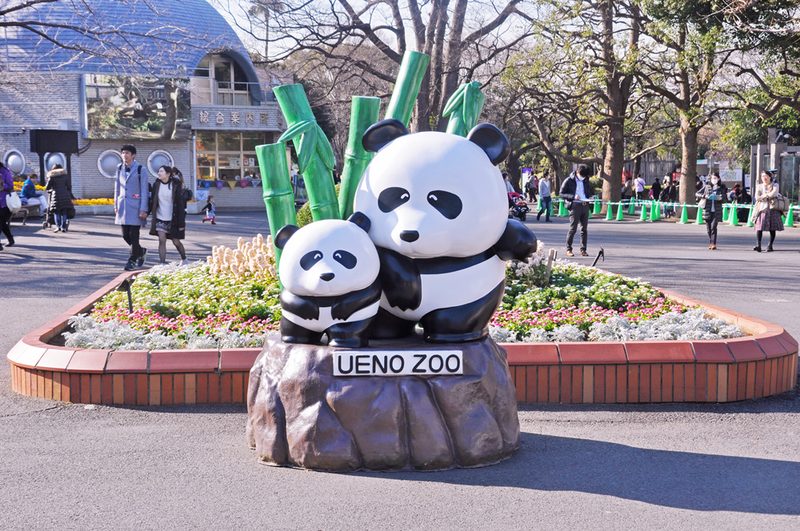 After lunch we visited the Ueno Zoo!! 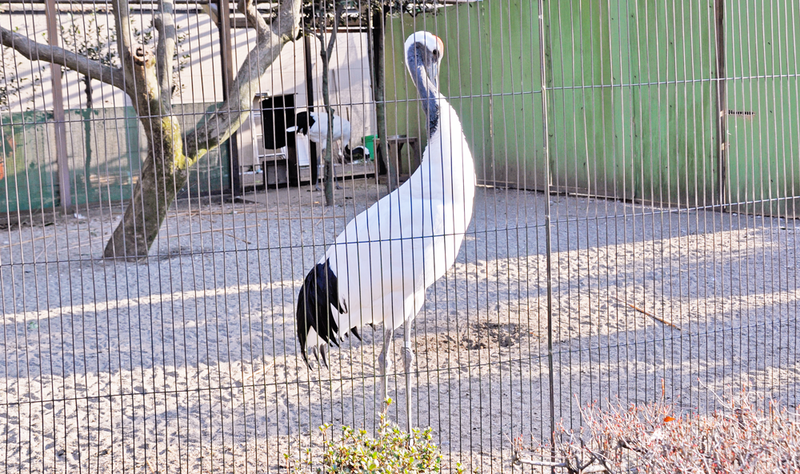 It was a little late and the zoo closes pretty early so we had to rush quite a bit to be able to see all the animals! My ultimate goal was that I HAD to see the giant pandas!! 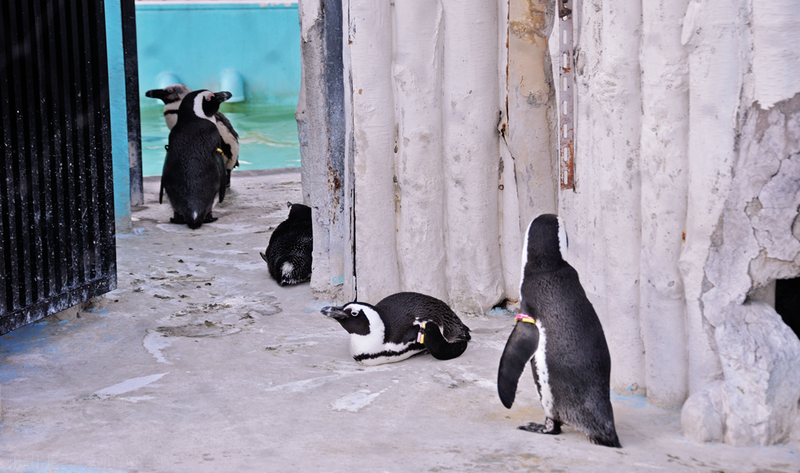 I think they are the main attraction of the zoo too cos the pandas' enclosures were right in front of the main entrance. They are not as big and fat as I had expected lol but still very cute! 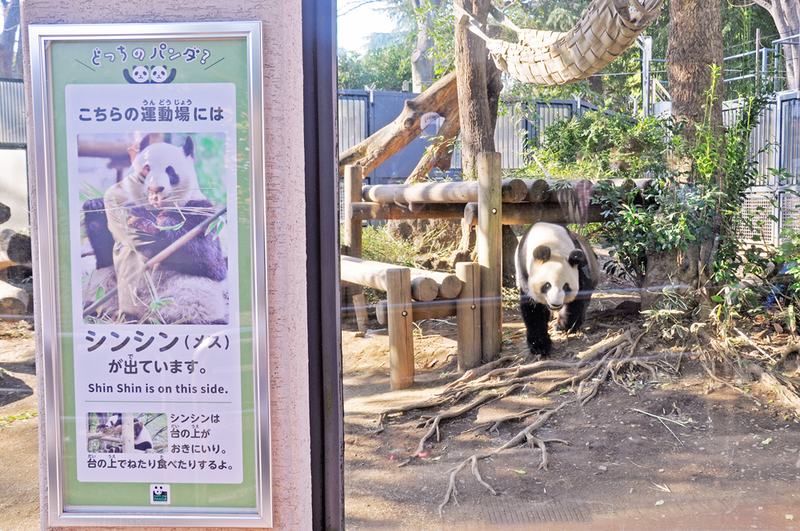 There are two pandas but they were both in different enclosures. 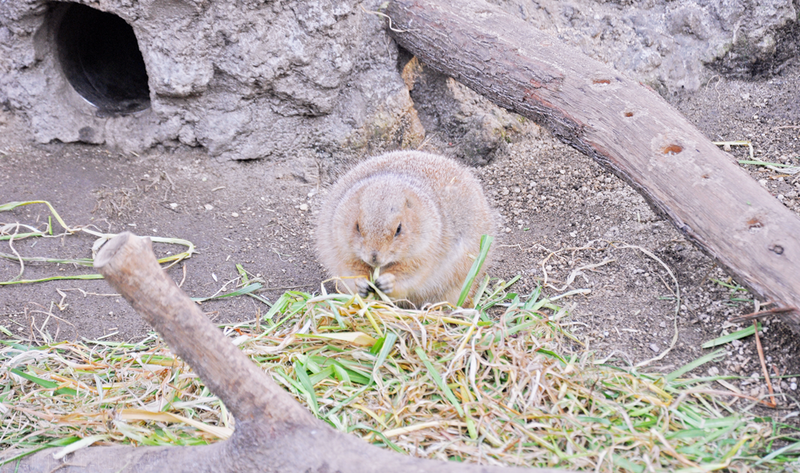 I think this is prairie dog but I'm not too sure. It's like a giant, fat hamster; so cute it's unreal! 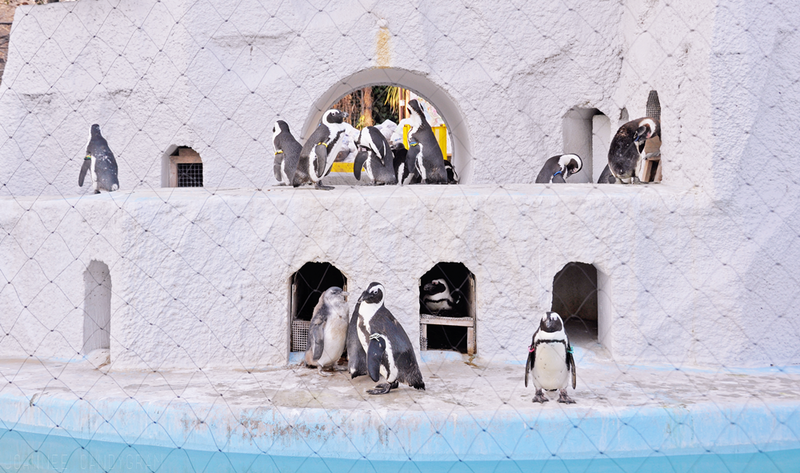 The zoo is pretty big and there are too many photos so I think I'll shortlist the photos to the ones I think would be more interesting to look at lol. 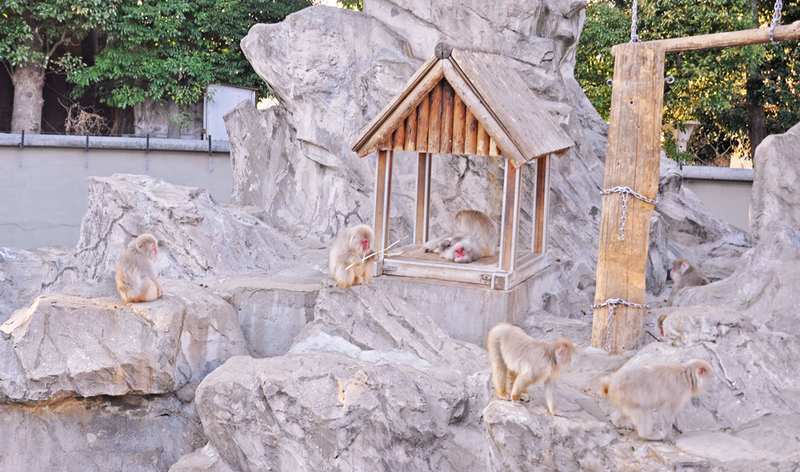 Japanese Macaques (snow monkeys) and a monkey that just looks like an old man it was so creepy I was kinda taken aback when I first saw it lol. 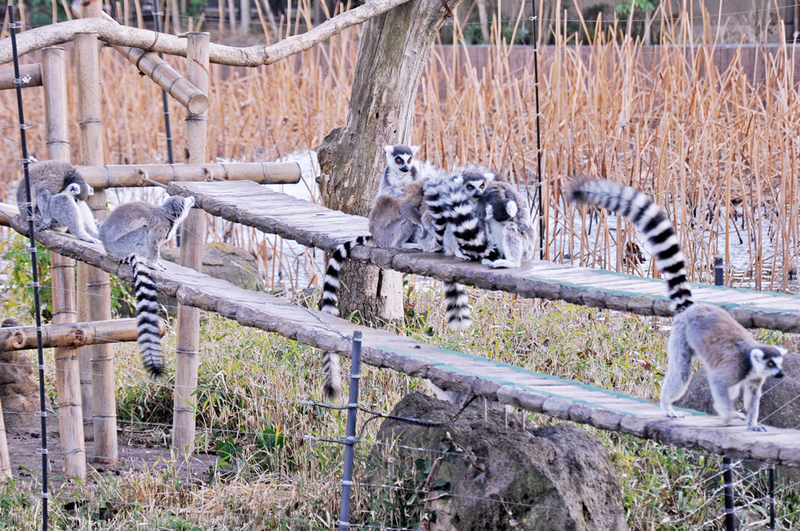 Lemurs! 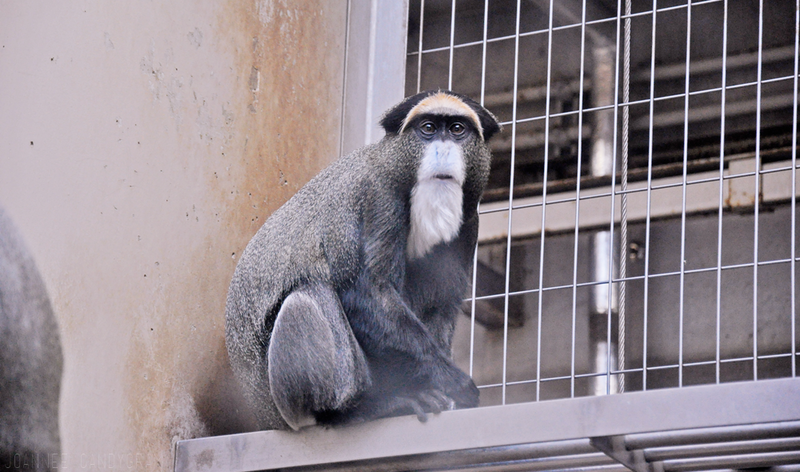 They were not in an enclosure but were on a separate "island" on their own so I had to zoom in a lot with my camera for this shot (hence the quality). Look at how they snuggle together into a giant furball! 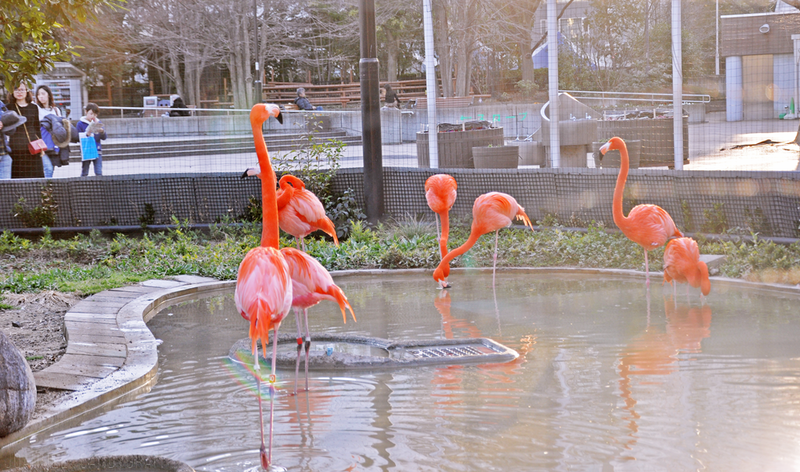 I was also very taken aback when I saw the flamingos because of how saturated the color of their feathers are!! 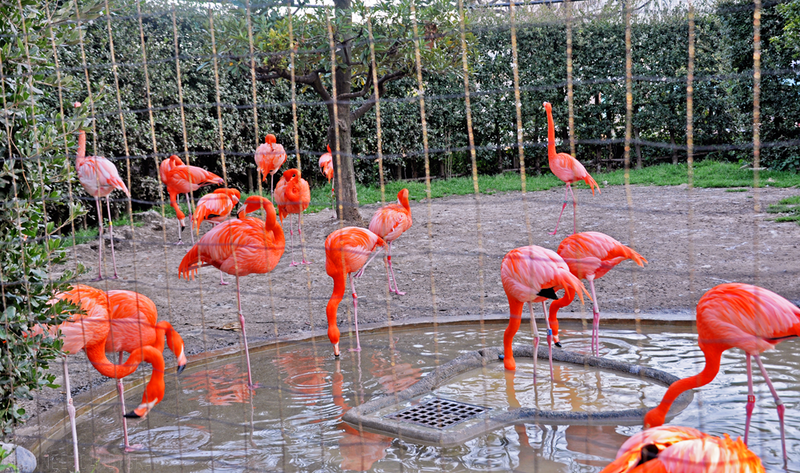 They really are the bright neon orange/pink that you see in the photos and I didnt alter their colors at all. Most of the mammals were brought back indoors (because it was getting too cold I presume) but we could still go inside to see them! 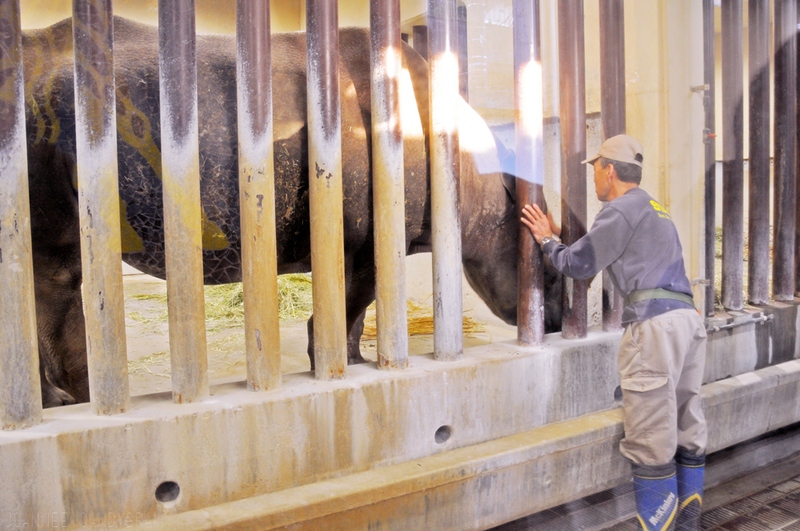 Got to see one of the zookeepers ~communicating~ with one of the animals so it was heartwarming to see that the animals are being taken good care of. We spent the rest of the evening around Ueno. 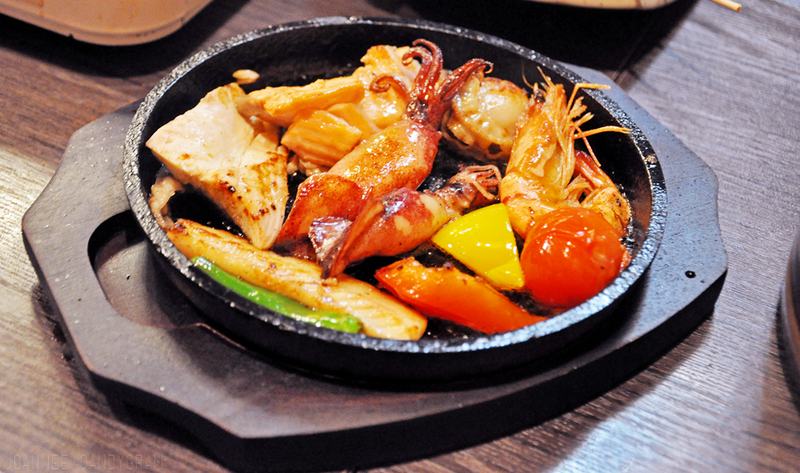 Dinner consisted of: sukiyaki, sashimi, yakitori and random hot plate of seafood (I tried but really dunno what it is called). This restaurant was the first that we went where they charged kinda like an "entrance fee" (I forgot what they called it exactly). They charge a fix amount per head in your bill, regardless whether or not you ordered something for yourself. Maybe it's like a service charge but it was quite a big amount since it was charged per head and was a fixed amount (as opposed to a percentage of your total bill). So be careful when entering random restaurants! 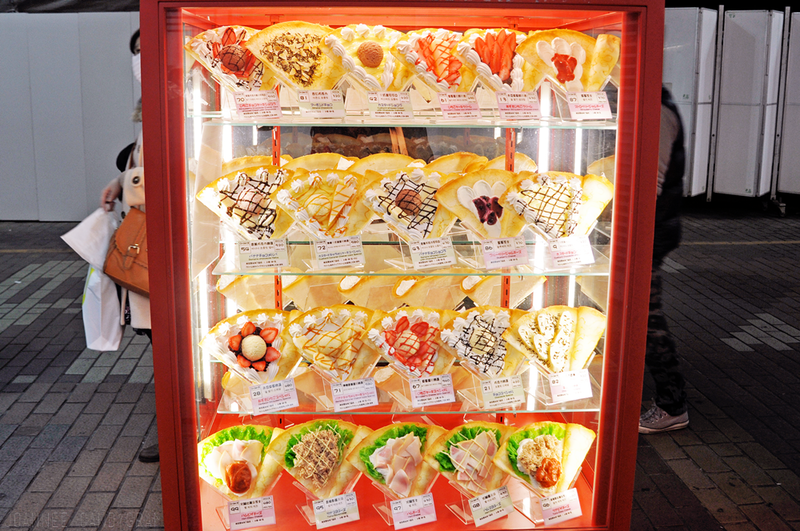 Took this when mom and sis were buying Harajuku crepes! 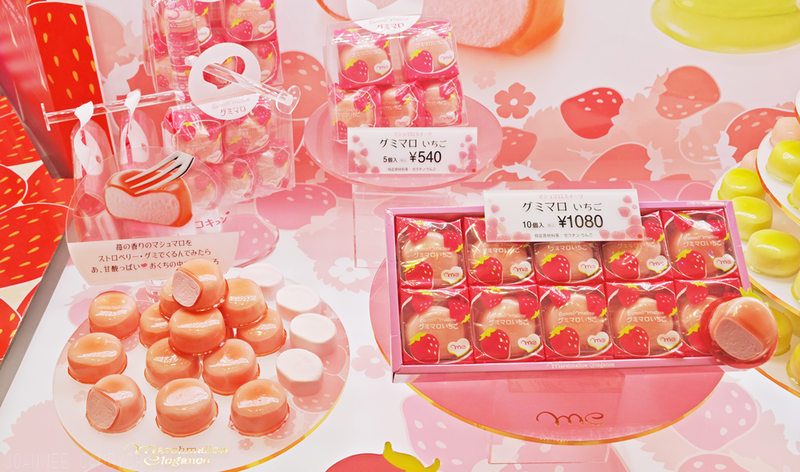 More plastic food displays... Too cute. One of the best things that I had throughout my trip was this takoyaki from a place called Gindaco! 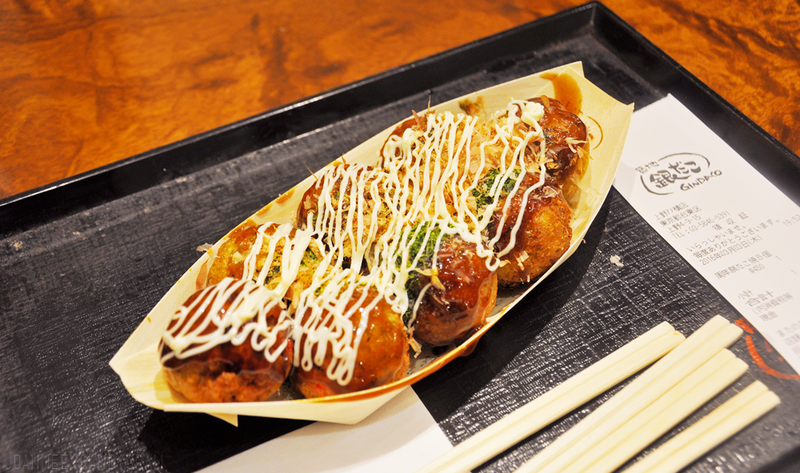 For those of you who didnt know, inside the takoyaki is octopus! 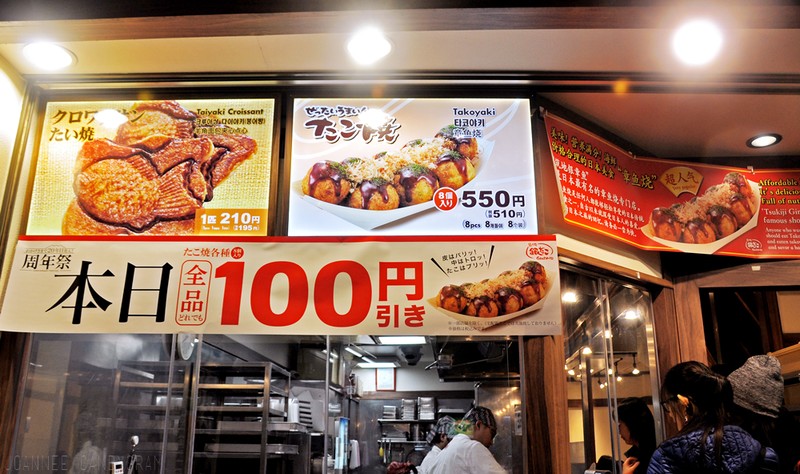 I've tried plenty of takoyaki back home but most of them are very fail. 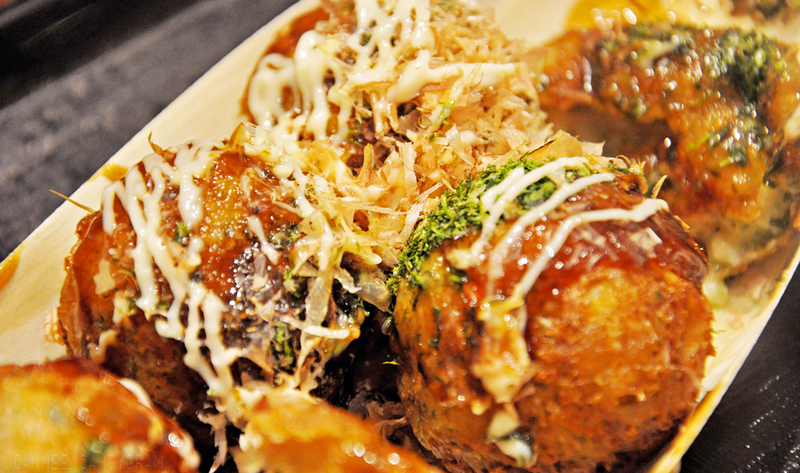 This takoyaki is on a completely different level! When I went to google to name of this restaurant, I found out that they had an outlet here too so I wonder if it's comparable to the original. After all the food, we did some shopping which you will see in my haul coming up next! Our flight was at night but we decided to go to the airport early so we had time to do some duty-free shopping! 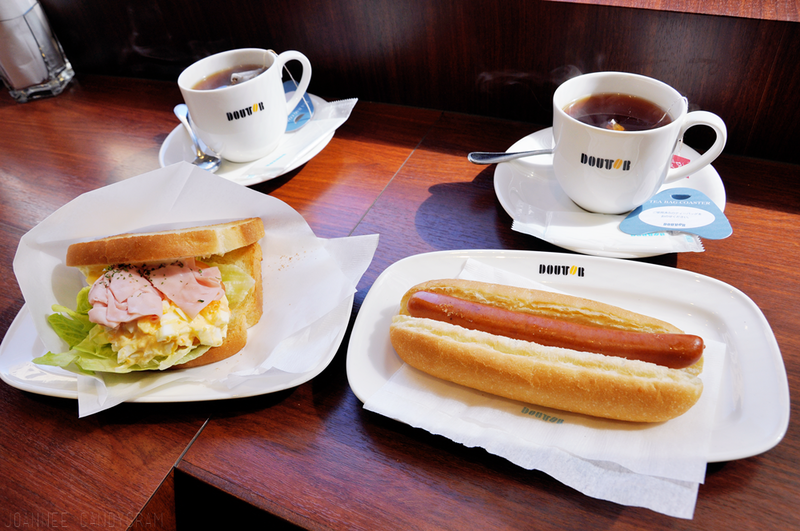 Before that, we went to the shopping malls that were around Tokyo Station! One of the malls nearby Tokyo Station is called First Avenue, where there is a "Tokyo Character Street" that has all kinds of themed-stores! There was a Tamagochi, Snoopy, Pokemon, and even a mini Disney Store! 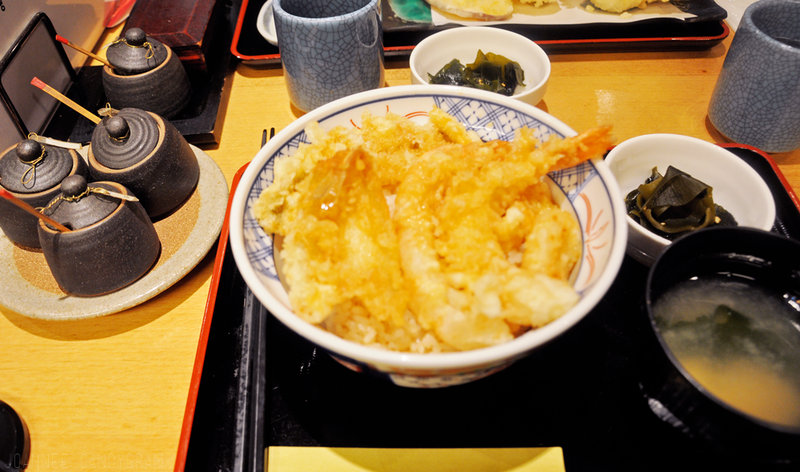 The curse of out of focus food photos returns.. We had tempura for the first time on our last day and this was also one of the best things I had throughout our trip! Not heaty/greasy at all like the ones we have back home! 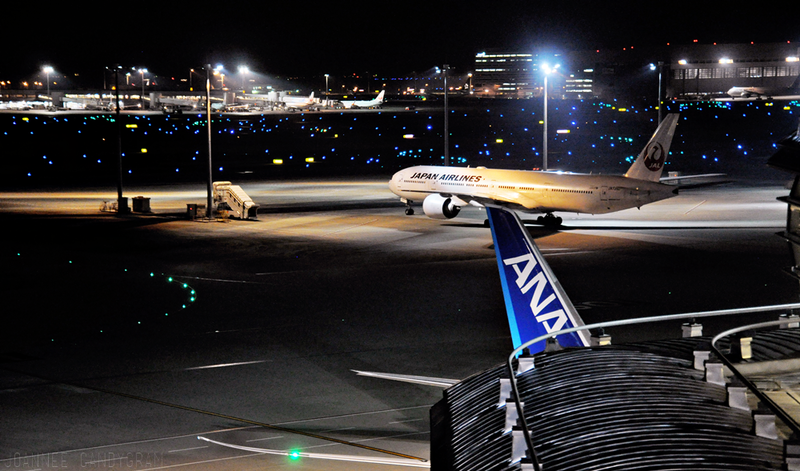 Photos taken from the observation deck at Haneda airport! It was a beautiful sight but I only went out for a little while cos it was freezing and I didnt have a coat (cos I packed it into my suitcase lol). 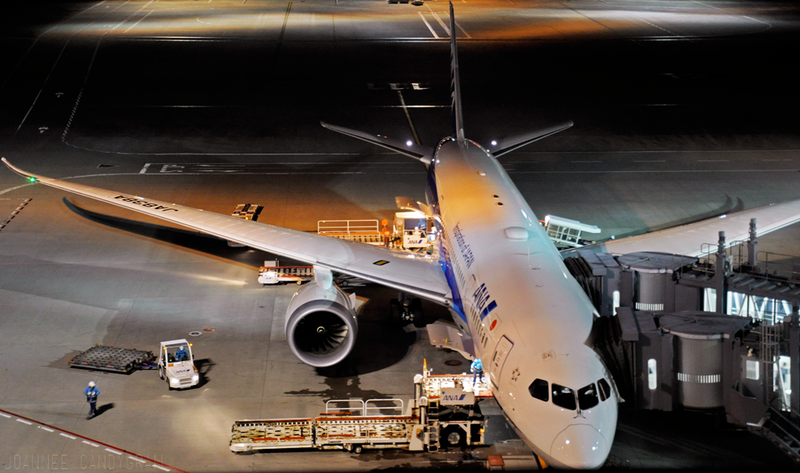 I was really, really sad when we were leaving Japan cos the whole trip was absolutely like a dream for me! 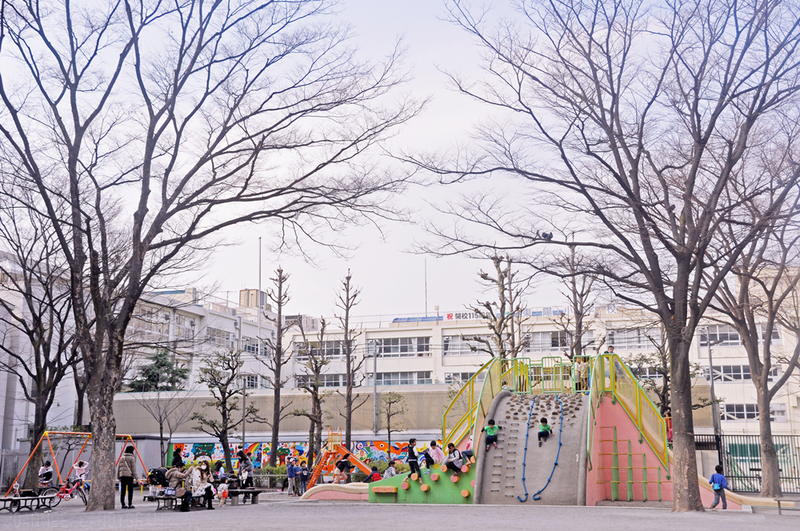 In retrospect, especially as I'm putting together my Tokyo posts, we were there for almost a full week lol and I would like to thank the leap year for giving me one extra day in such a beautiful country! 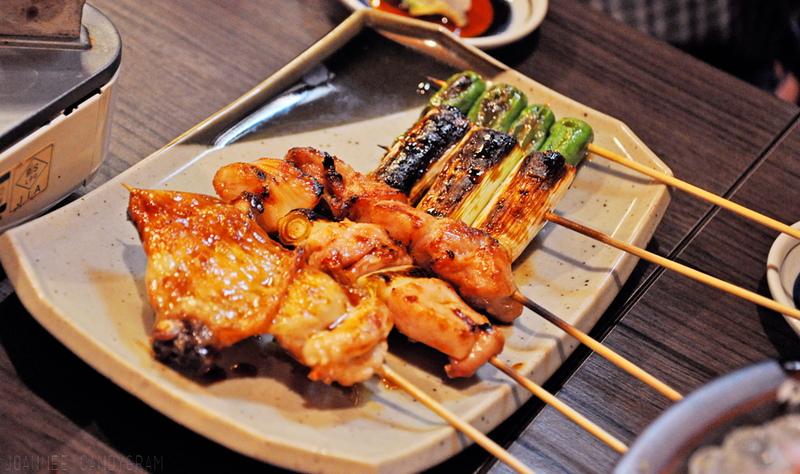 I'm really relieved now that I'm finally done with my Tokyo posts lol because it seemed like it was never ending! I will be putting up my Tokyo haul next so stay tuned! 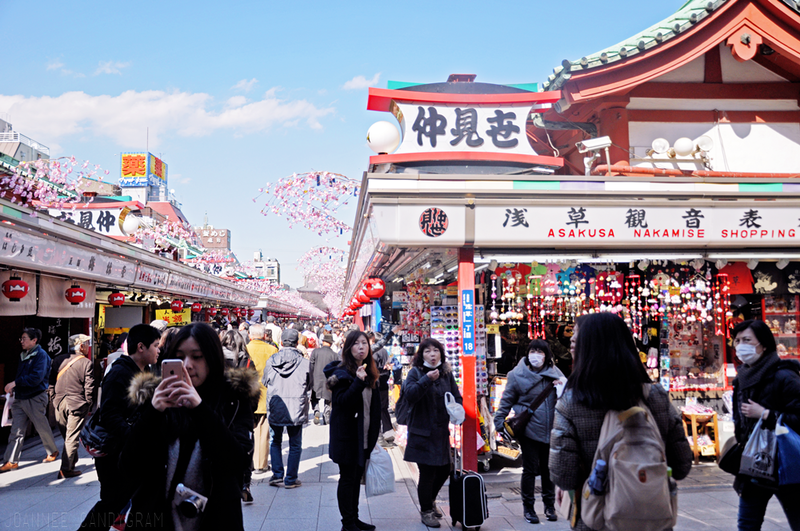 Our first destination was the Asakusa Nakamise Shopping Street! The place was super crowded with both locals and tourists! I really wish I had taken photos of the stores so you could see what they were selling and how nicely they had arranged their things but I guess my tourist spirit is not strong enough to do that in such a jam packed area lol. They mostly sold touristy souvenirs like keychains, keychains, postcards, handkerchiefs, and keychains! I think here was the most touristy area that we had visited throughout our trip (even more than Disneyland!). 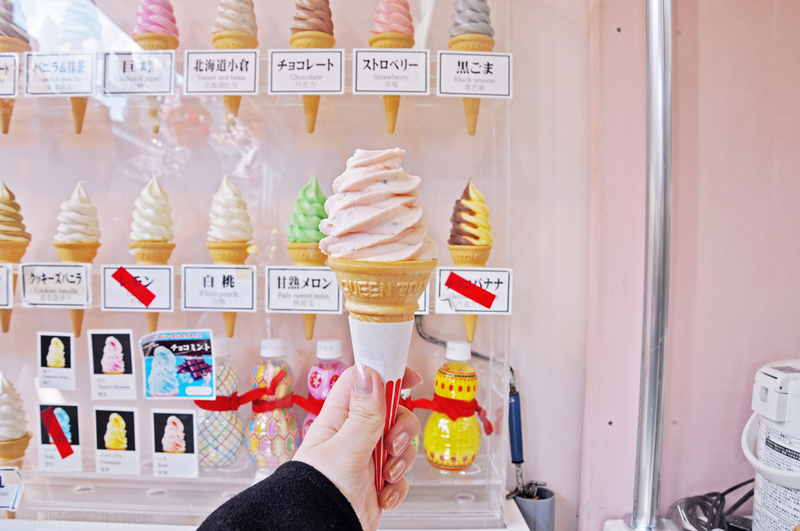 We had soft serve ice cream there! 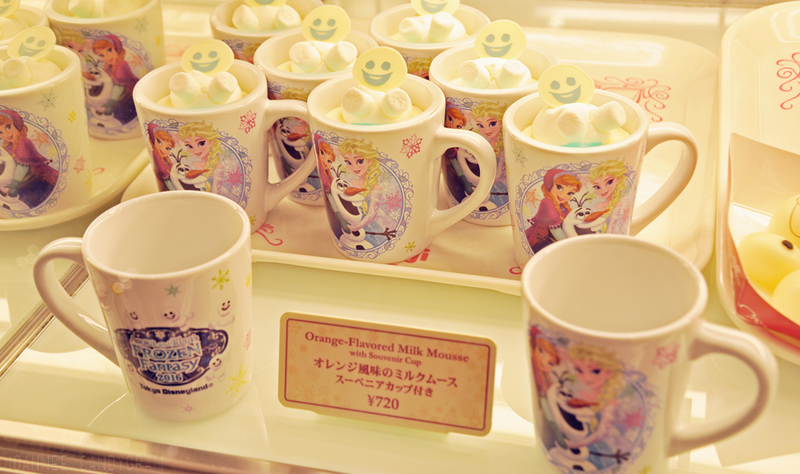 Look at all the cute flavours on display at the back. 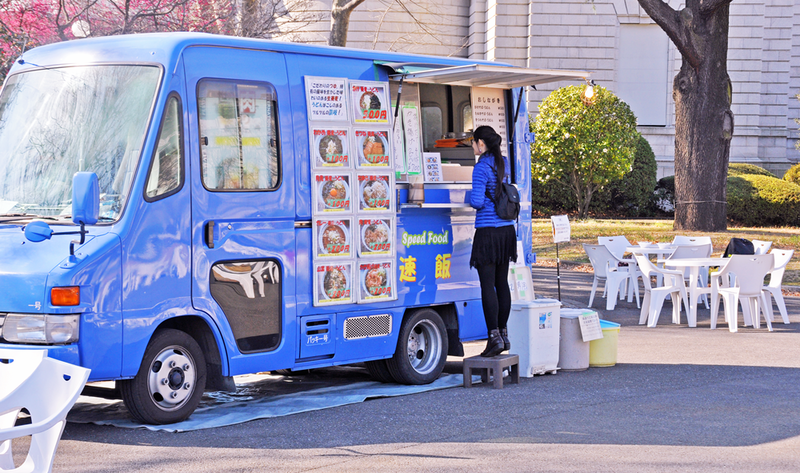 One notable thing about Japan is that it's not common for people to walk and eat at the same time. We had to finish the ice cream in the store itself. 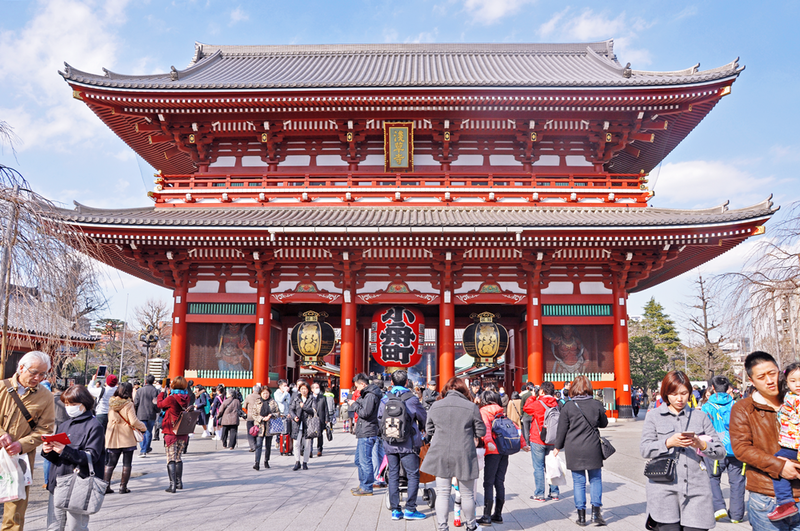 Right at the end of the shopping street is the Sensoji Temple. The place is really huge and you can actually take a rickshaw tour (we didnt). 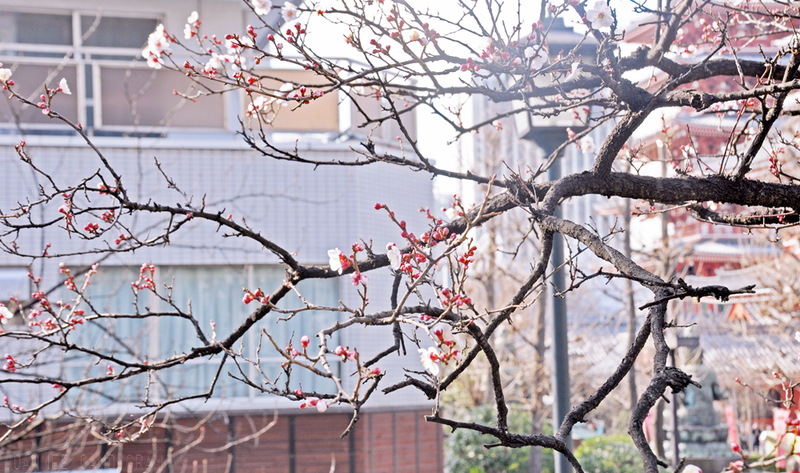 More sakura buds about to bloom for spring!! There were A LOT of locals who came to visit in their Yukatas!! One thing I absolutely adore about the Japanese is how much effort they put, not only in their clothes, but in their hair and makeup as well!! Everyone everywhere looks great!! 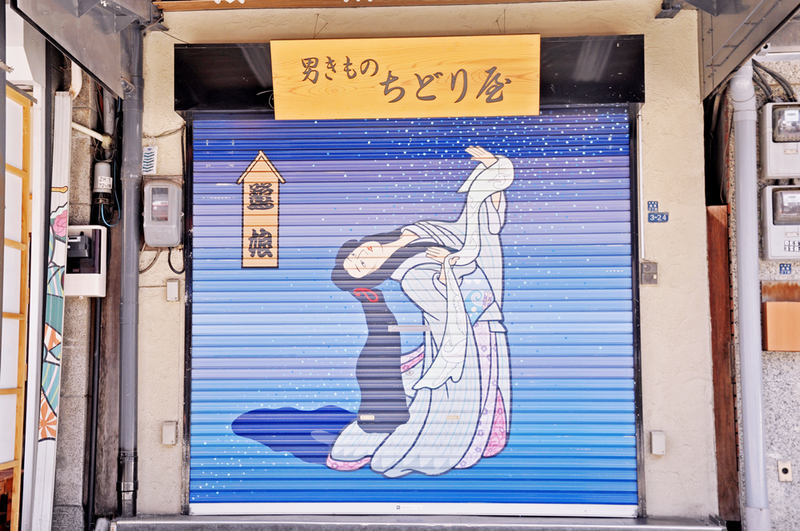 Artwork on the shutters of a shop! 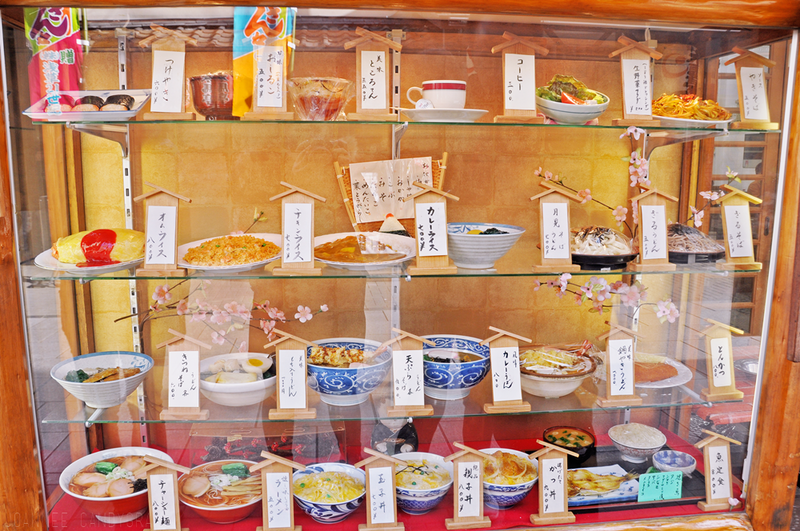 One of my favorite things about Japan is their plastic food displays!! 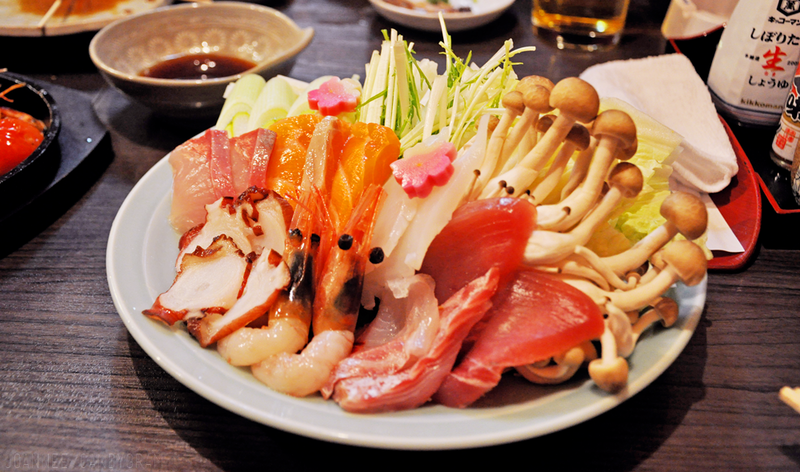 Most Japanese restaurants have them and they always look super real and are really interesting just to look at! We had lunch at this very homey family run restaurant. Had cold udon! After that we walked to Tokyo Skytree! 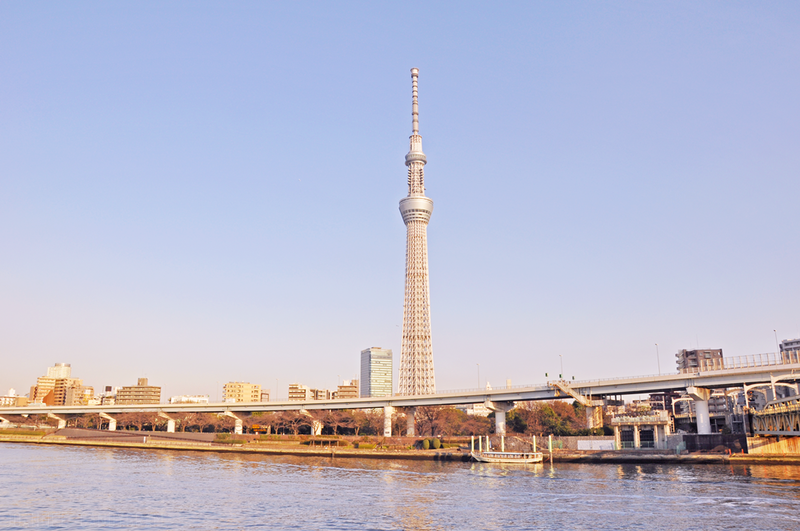 It was quite a long, long walk but worth it because we got to enjoy the scenery and look at Tokyo Skytree from afar! 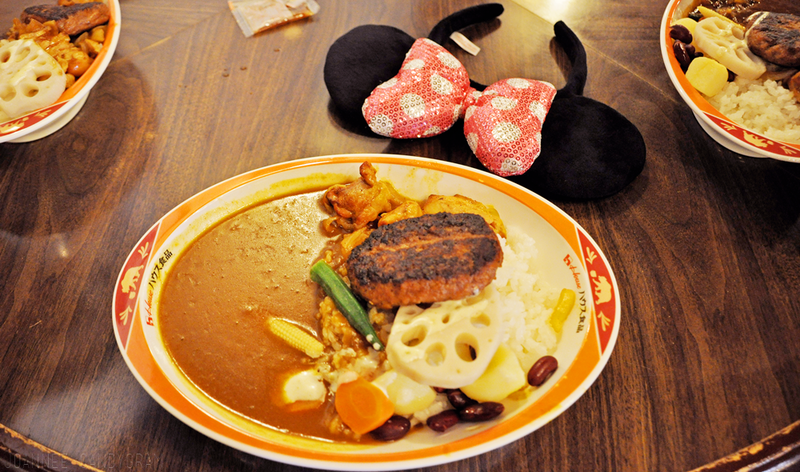 The highlight for me is that there was a Disney Store in Tokyo Solamachi!!!! The Disney Store is like a mini Disneyland, they even play the same background music in the Disney Store as the music they play in Disneyland lol. Contrary to what I had thought, the Disney Store actually sells different merchandise than the ones sold in Disneyland! The Disney Store sells limited edition merchandise so be sure to check them out too if you're an avid Disney fan like me! We spent a super long time in the Disney Store lol. pictures above one of the most memorable things that we bought from Japan!! 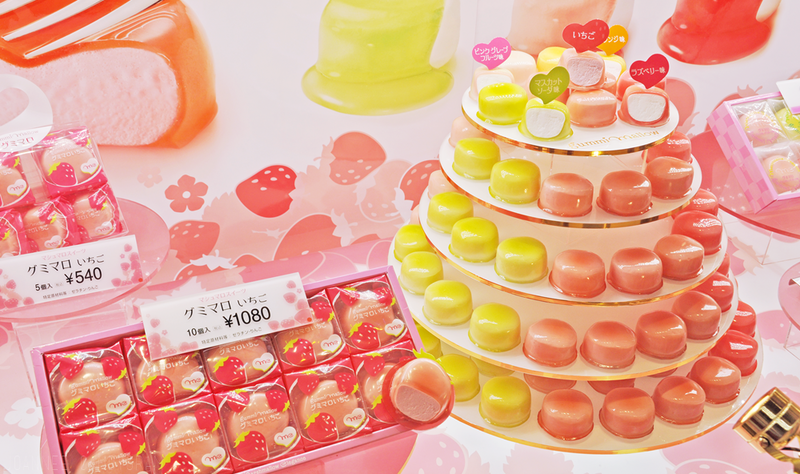 They are basically marshmallow covered with gummy! 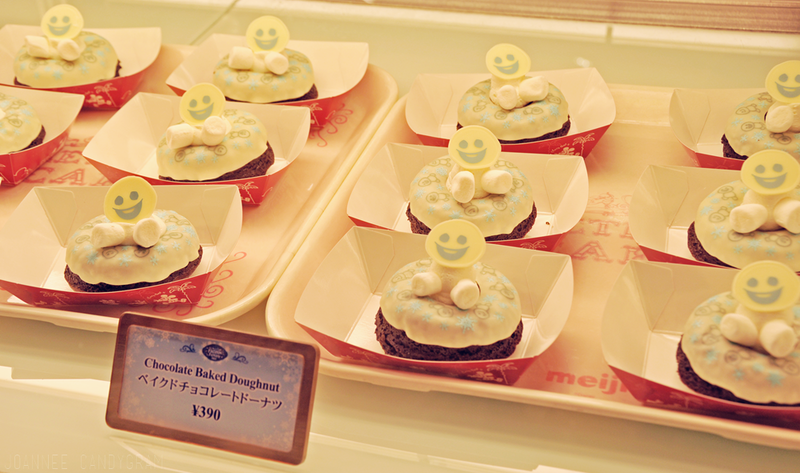 Not only are they super cute but they are yummy as well! 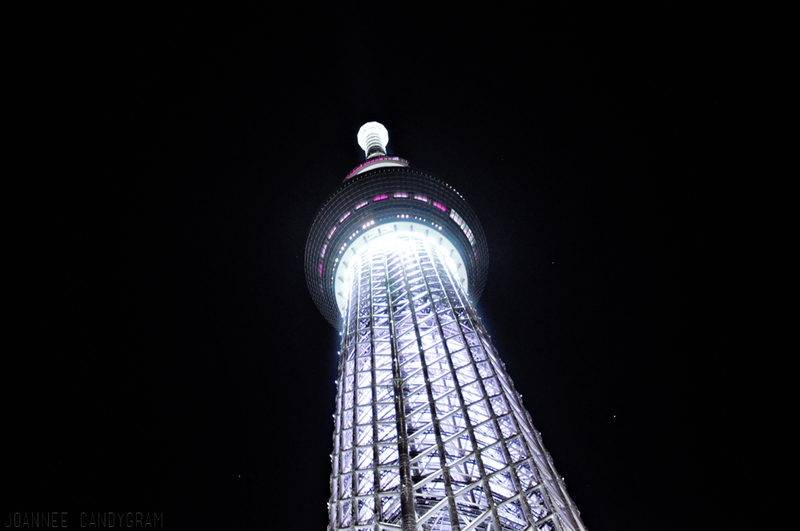 Fail photo of the Tokyo Skytree at night cos I was standing right at the bottom lol. 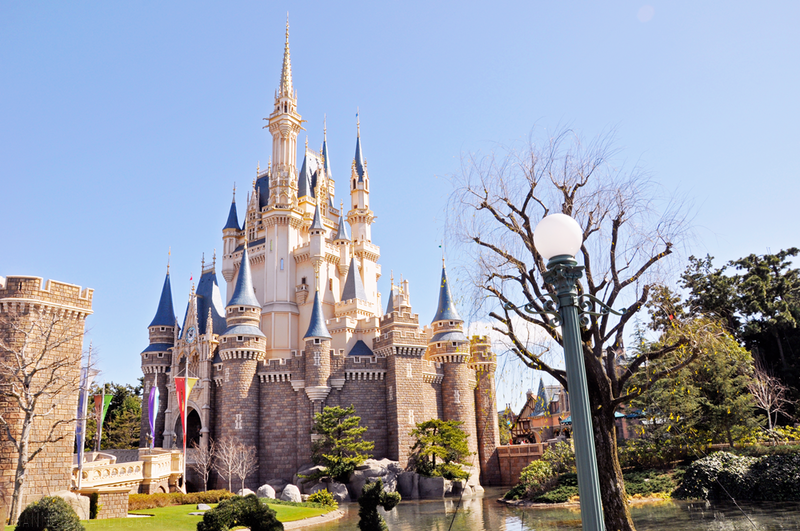 Visiting Japan (Part Two) - Tokyo Disneyland! 내 몸이 불타오르고 있어 - Giriboy Hello and hello! Maybe I should start putting up what I'm currently listening to more often because what better representation of the phases of life I'm going through than music lol. 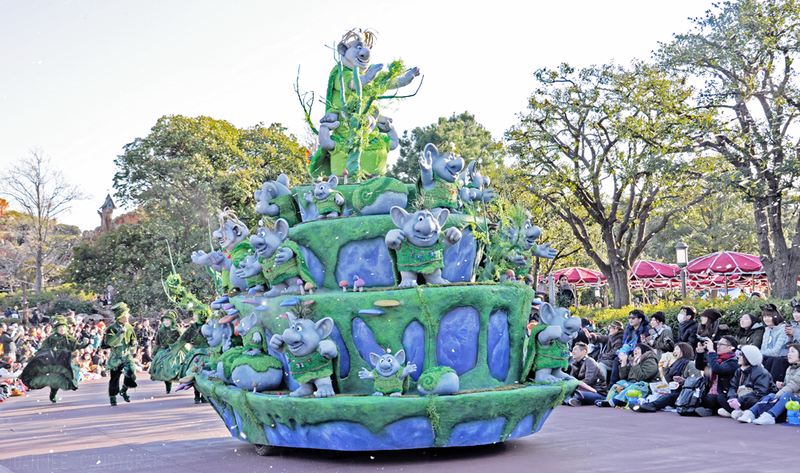 Today I am finally going to blog about my visit to Tokyo Disneyland!!! 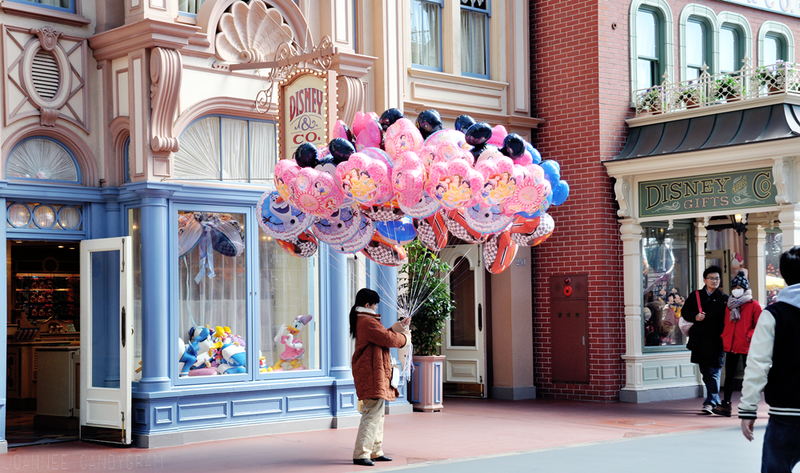 Visiting Tokyo Disneyland really meant a lot to me because it was the one and only travel destination on my bucket list (refuse to hop onto the "bucket list" bandwagon but really dont know how else to express it lol). 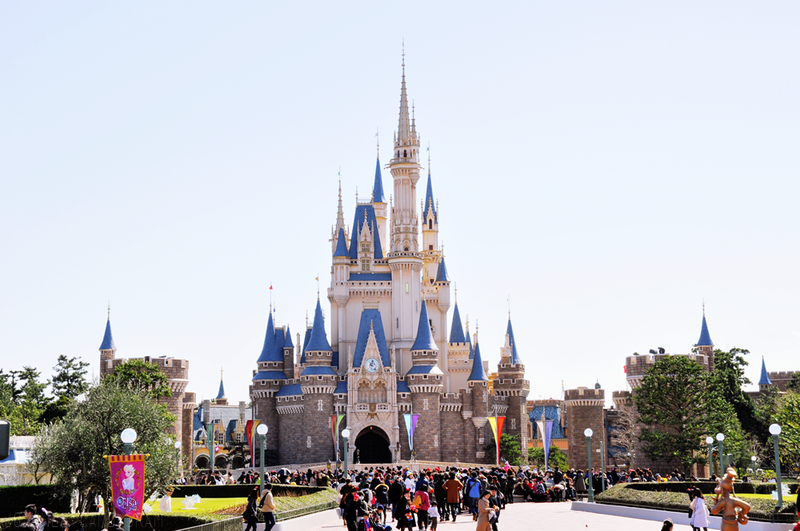 Tokyo Disneyland is A LOT bigger than what I had expected (more than double of USS I would say) and we made the mistake of getting the one-day ticket because we really didnt have enough time to fully explore and appreciate the park in its entirety!! 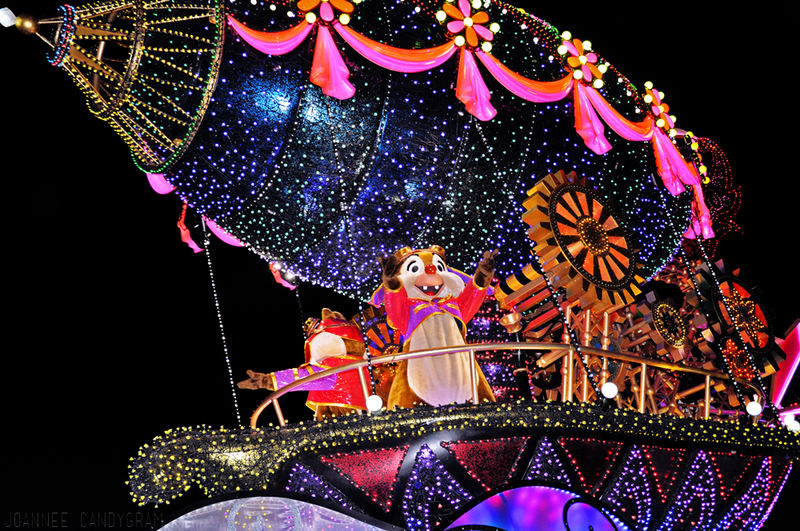 Nonetheless, I'm really grateful that I had this opportunity to visit Tokyo Disneyland in this lifetime. What a great time to be alive LOL. picture above Alice in Wonderland themed castle ft my pink Minnie Mouse hairband that my sis was wearing!! 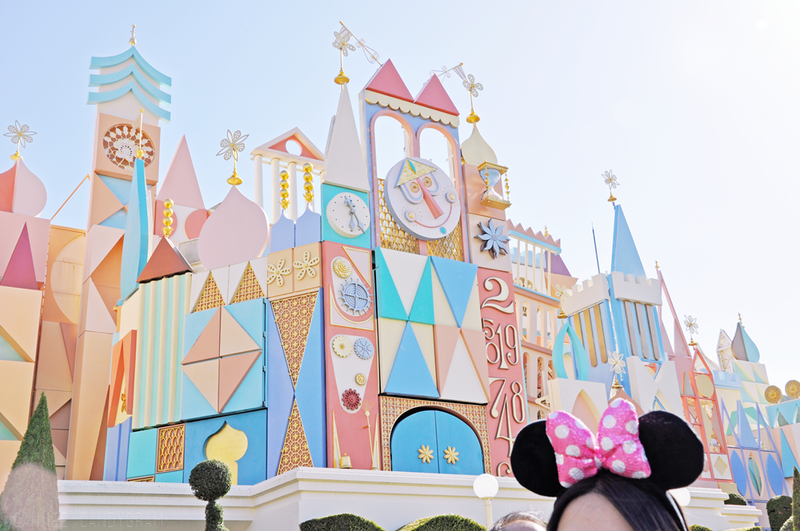 This photo looks great against my blog header because of the pastel colors of the castle lol! 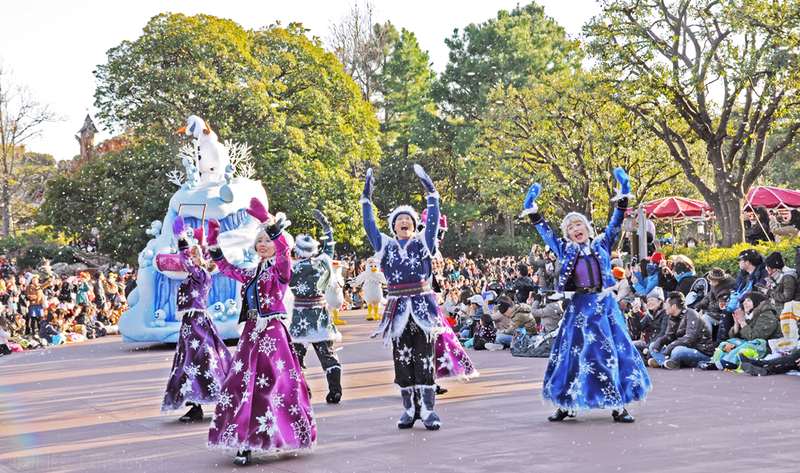 The theme at Tokyo Disneyland when I visited was Frozen (bless because Frozen is very near and dear to me and I absolutely love it). 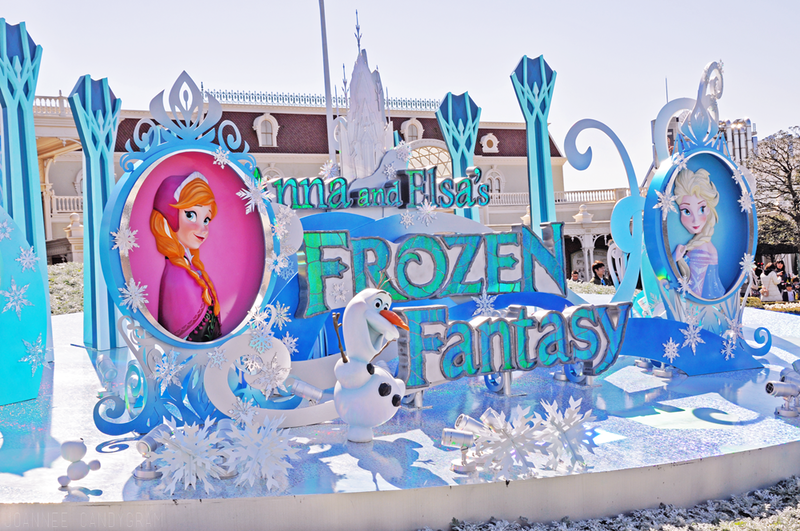 So when we first entered the park there is this huge Frozen structure! Took the photo from the side because there were visitors queuing to have their photo taken with it from the front. 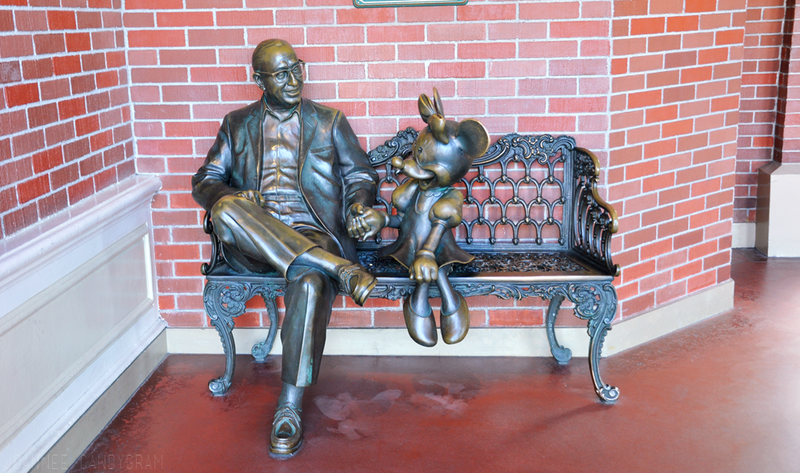 The legendary Walt Disney and Minnie Mouse statue! Our first stop was the gift shop so we could wear the Disney merchandise for the day too! 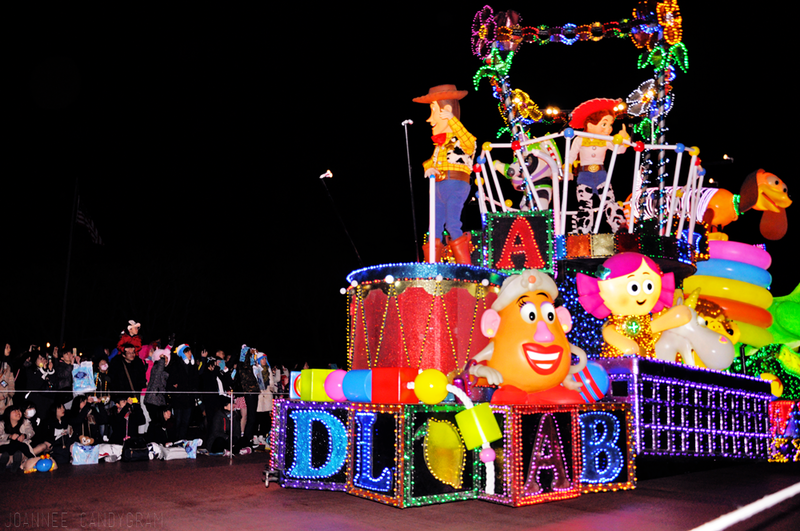 They had a lot of other hats of other Disney characters. It was hard for me to pick one but decided to buy the classic Minnie ears. 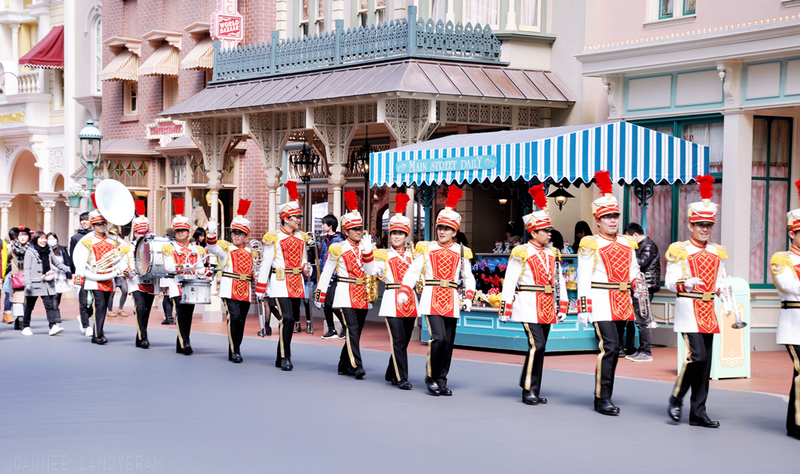 Marching band passing by just when we came out from the gift store! 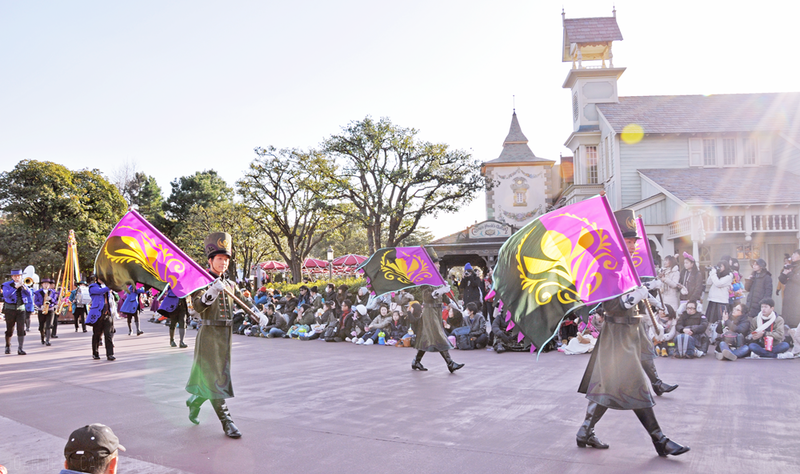 We were really lucky in that we coincidentally were always at the right place at the right time just in time to watch a lot of parades and performances!! 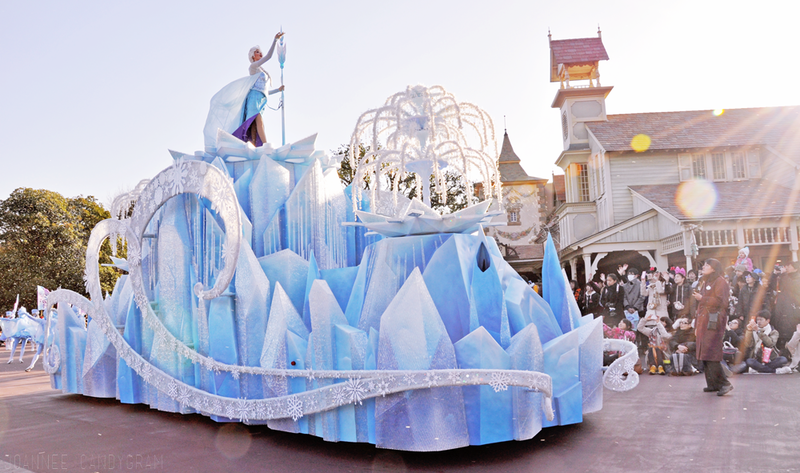 The magical Cinderella's castle which was right at the center of Disneyland! Super gorgeous isnt it! Plus the weather on that day was so perfect. 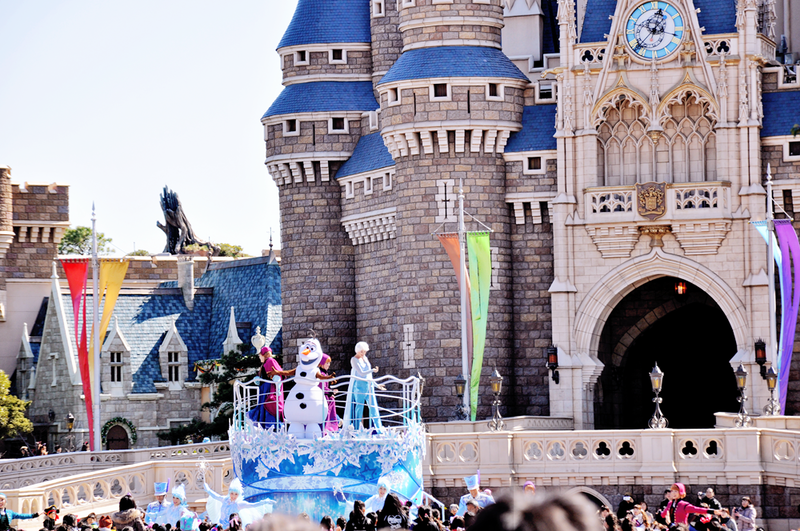 There were a lot of people gathered right in front of the castle because a Frozen sing a long was just about to start! 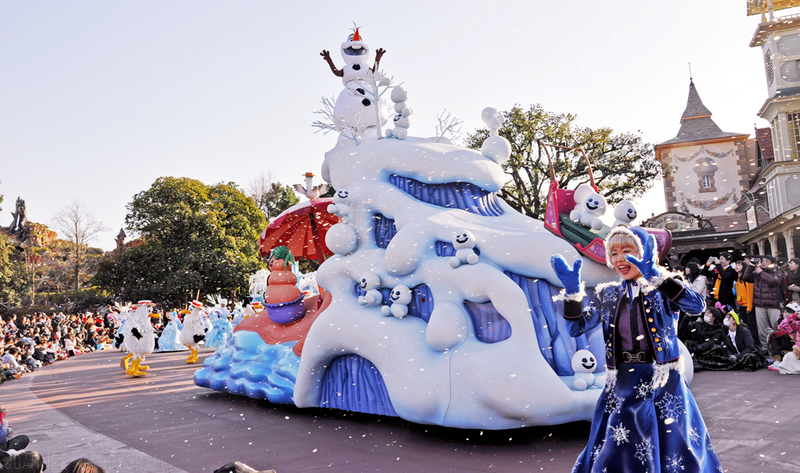 Frozen sing a long with Olaf, Anna and Elsa! They spoke in Japanese and sang the Japanese versions of the songs! There were dancers and kids on the ground too but I was really really far away so couldnt really see them lol. We went on a coupla rides but photos on most (if not all) of them are forbidden. 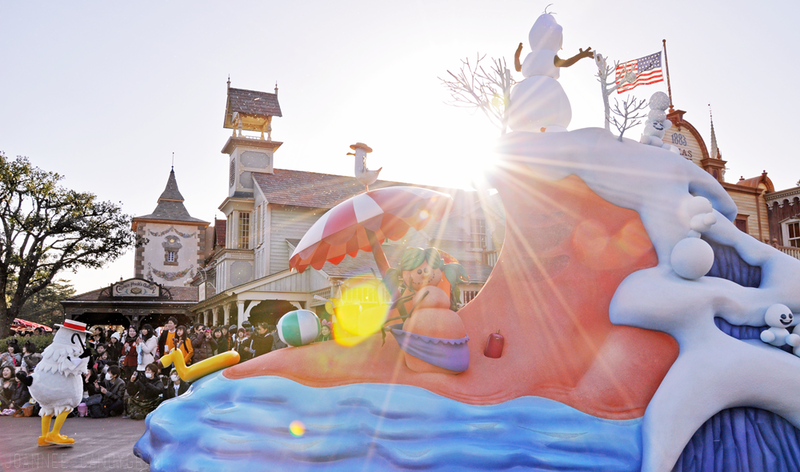 More Frozen characters ft random duck! 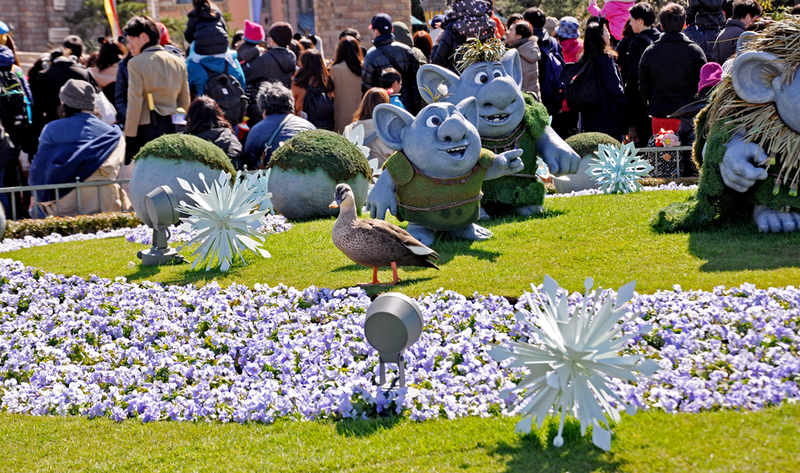 Ducks are everywhere even in Tokyo Disneyland! The side of the castle there was a lake! 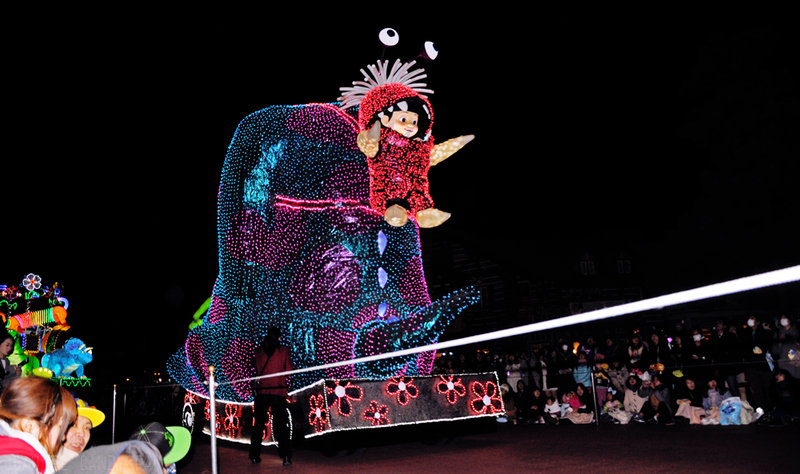 A+ to the Japanese for being so meticulous that reality in Disneyland seemed altered - a true simulacra. There was almost no one taking photos of the side of the castle but it's equally as nice what! 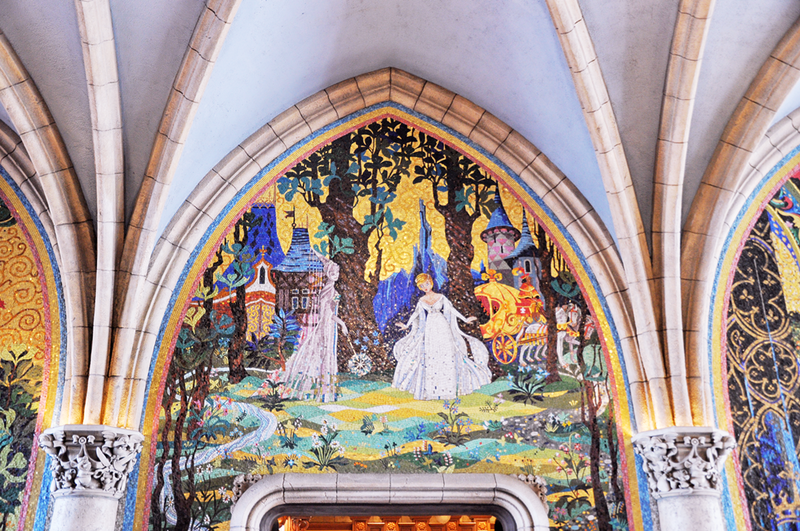 The inside of Cinderella's caslte is filled with murals (picture below)! 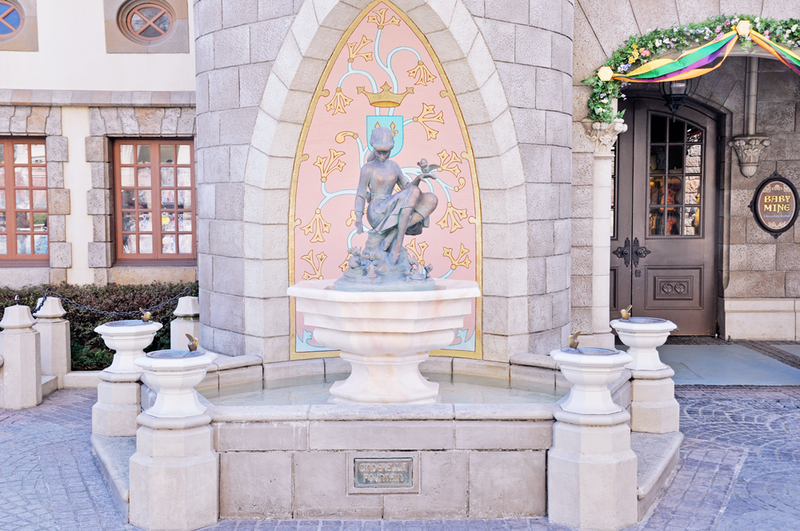 Underneath the mural is the entrance to a gift shop selling princessy accessories! 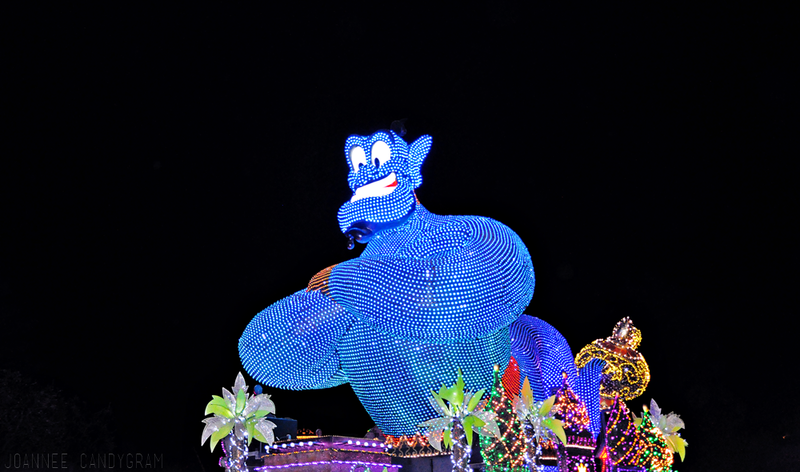 There was also demonstrations of how the glasswork on sale were made. 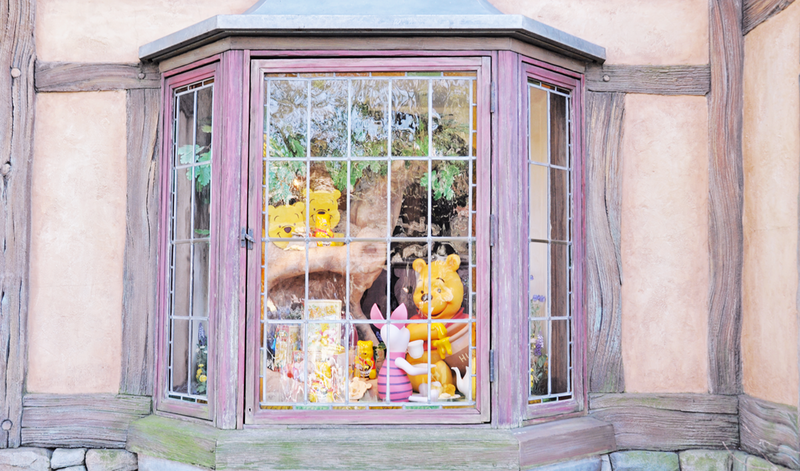 Window of the Winnie the Pooh gift shop! 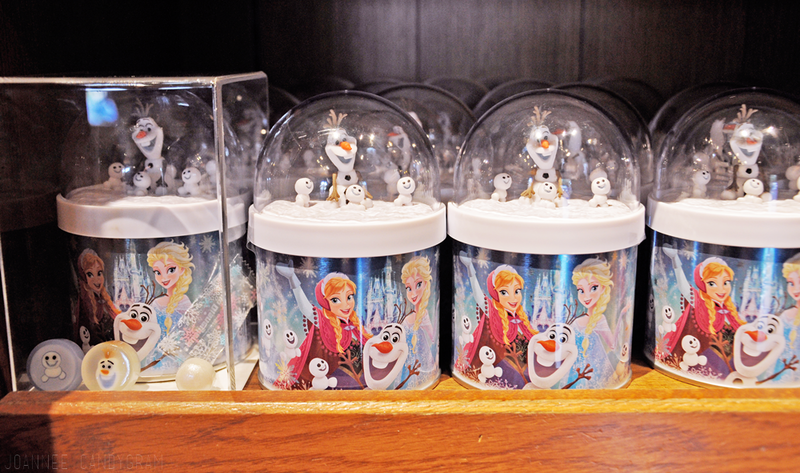 Different gift shops have different themes, so the merchandise in all of them will be different! 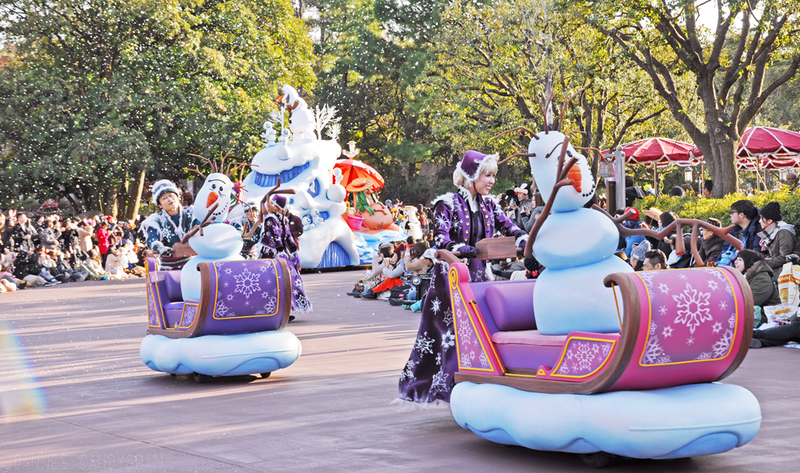 When we came out of the restaurant, a Frozen parade was just about to start so we waited for it!! 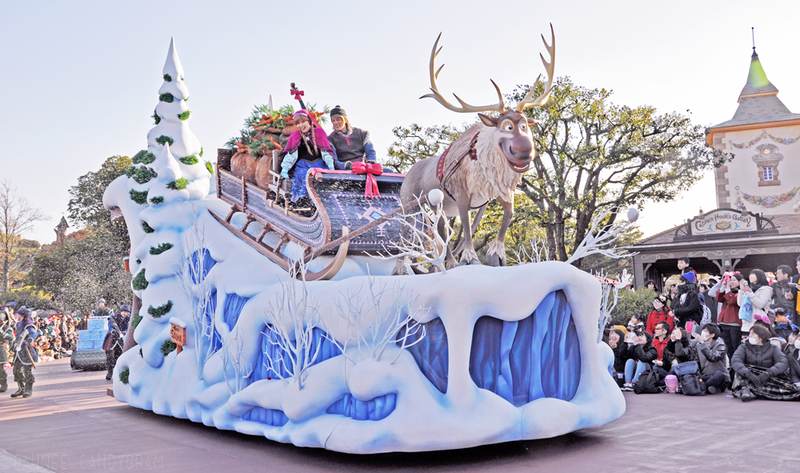 Was so lucky that I was right in front so here are plenty of up close photos of the parade! 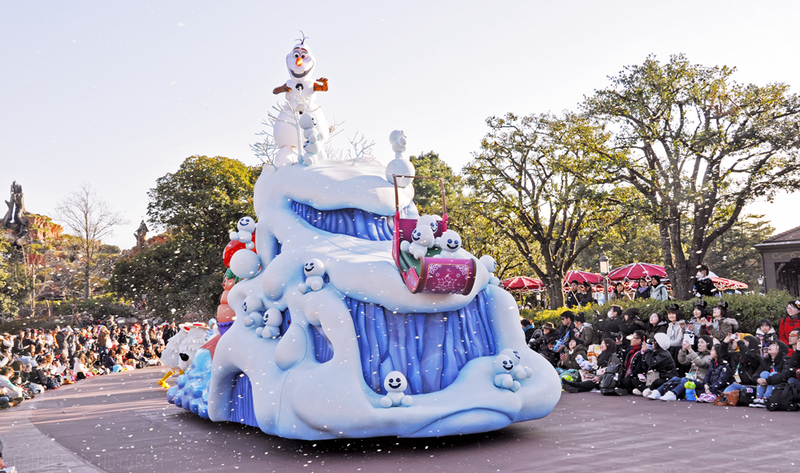 There was a lot of singing and dancing and snow shot out of the Olaf carts that the dancers were pushing! 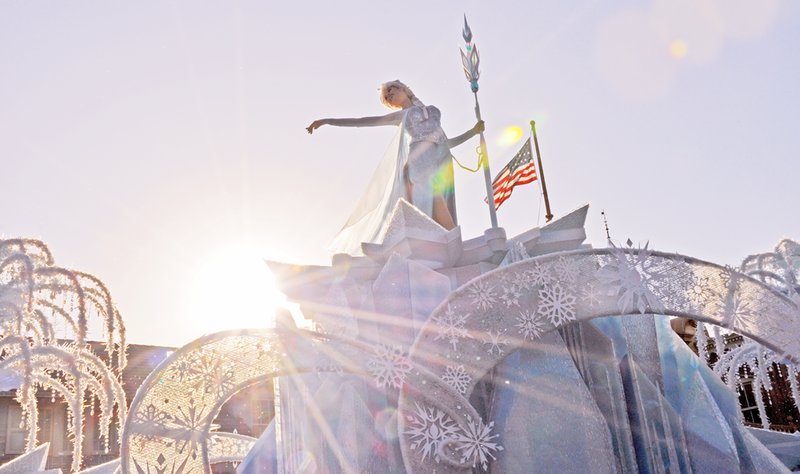 The sun was right in front of me so coloring of the photos are a bit weird lol. 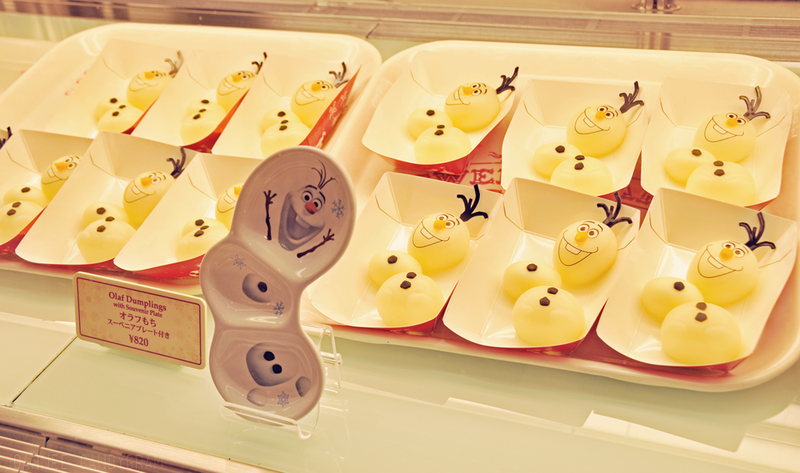 I bought this super cute Frozen candy! 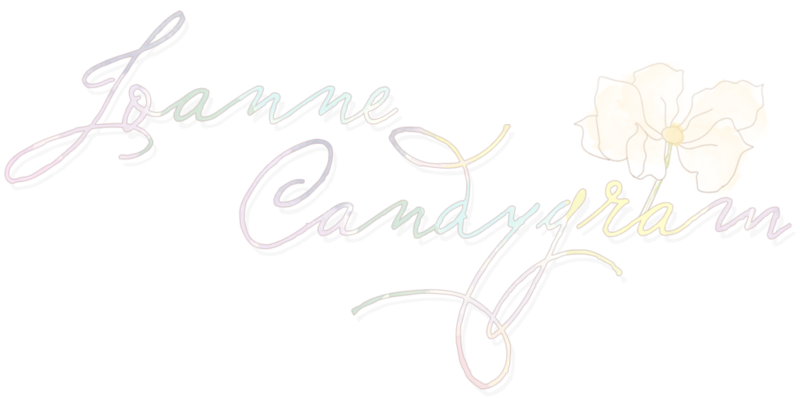 You can see samples of how the candy inside looks like! 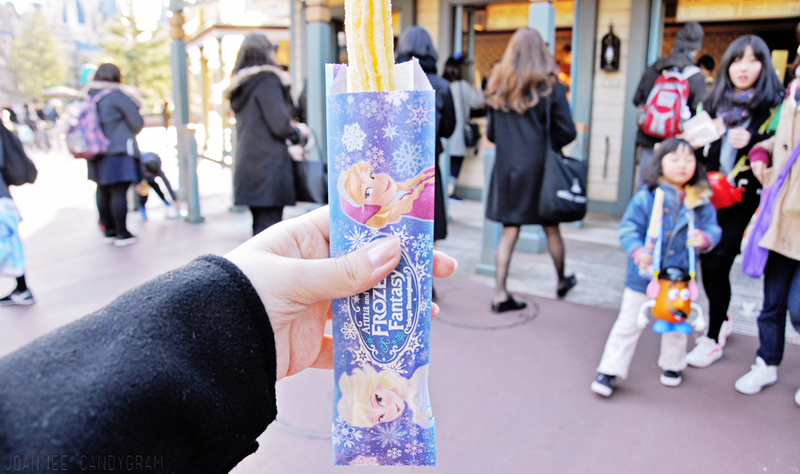 We also tried the churros there which came in (surprise surprise) Frozen wrapper! Look at the little girl at the back with her Mr Potato popcorn container!! Different stalls in the different "worlds" of Disneyland sells a different popcorn container, with different popcorn flavours. 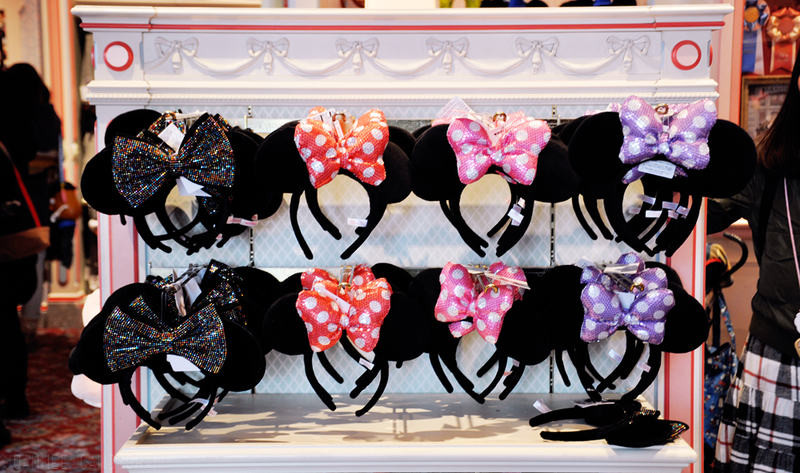 I bought a Minnie Mouse bow one. We went for ride after ride after our churros until it was dark. It was dusk when we were riding on the Mark Twain Riverboat, which basically is like a cruise! Took the photo of Cinderella's Castle on the boat! Because we went to Tokyo during non-peak time, we didnt have to queue that long for any of the rides! Maybe 10-15mins at the most? There was very few people on the Mark Twain boat too so we had plenty of opportunity to fully appreciate the ride! 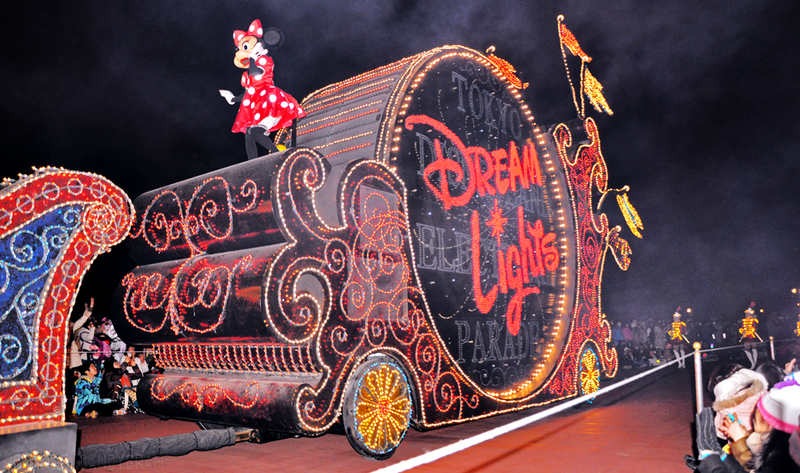 We also got to watch the Disney Dream Lights Parade!!! Everything was so perfect! 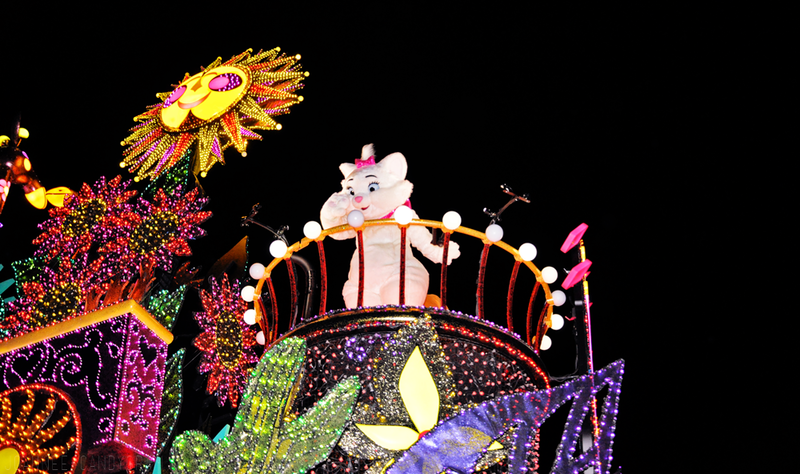 Marie Aristocat is my favourite Disney character and even her mascot is so cute!! 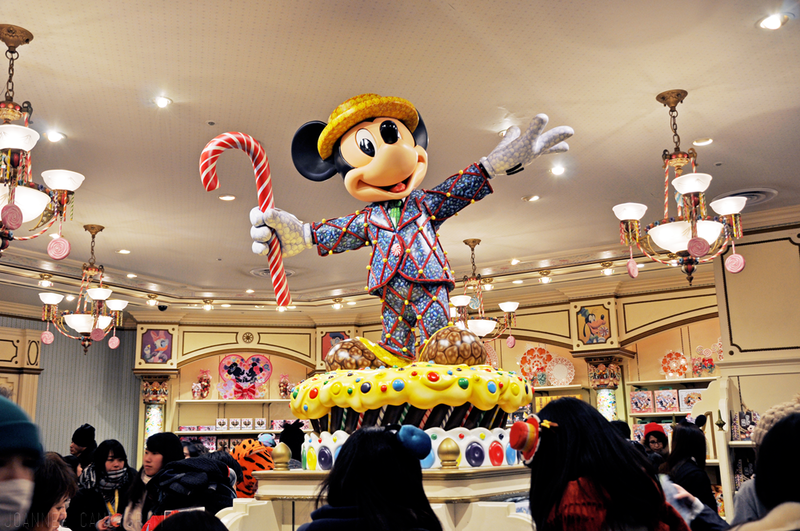 Mickey statue in one of the gift shops! The stores are all flooded with people cos it was super cold and windy outside and we were all waiting for the Disney fireworks show (which eventually got cancelled cos of the weather sobs). 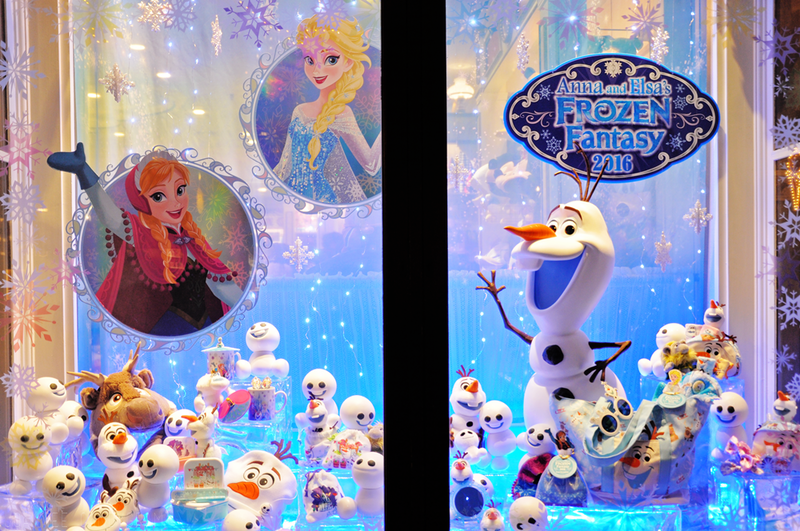 More photos of gift shop windows and cute merchandise! Olaf plush toys sold outside usually looks kinda creepy although I love Olaf a lot myself, but even the Olaf plush toys in Disneyland are cute! 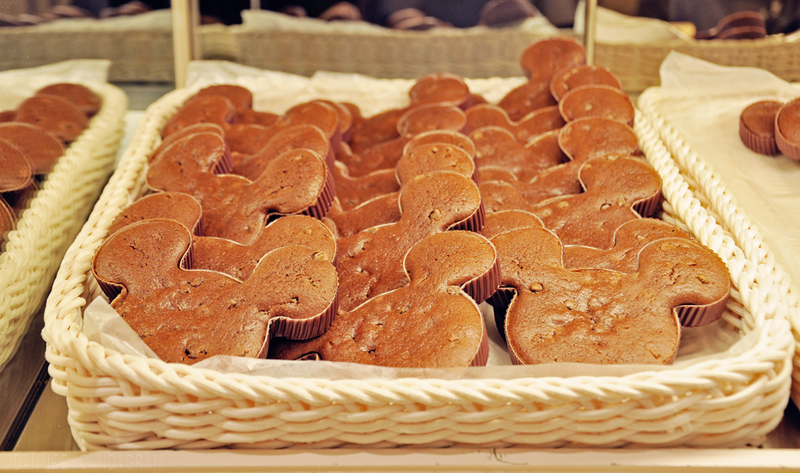 There is also a bakery called Sweetheart Cafe where all the bakes kept to the Disney theme! 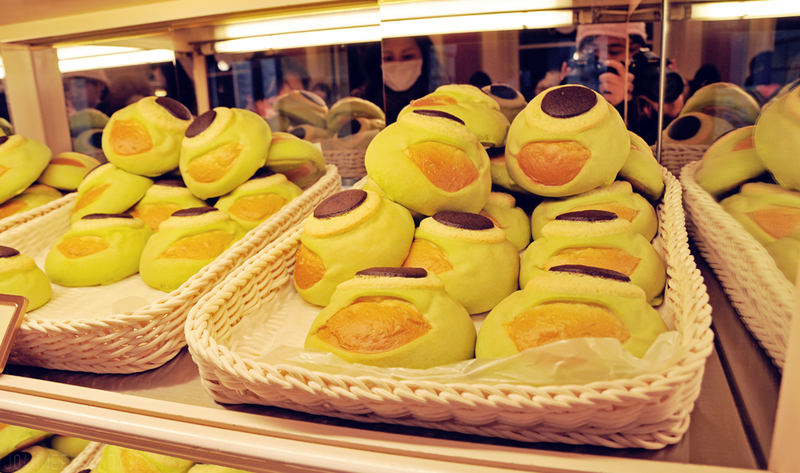 We tried the Mike melon bun and other things~ Melon buns are really everywhere in Japan! 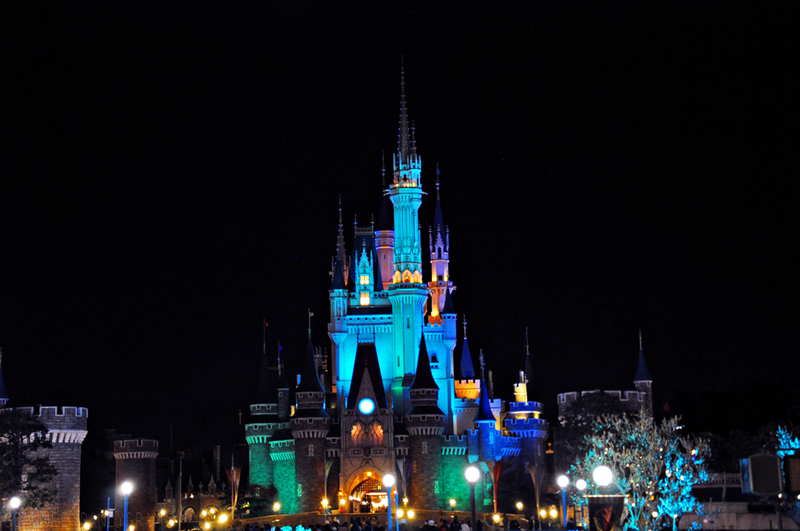 Cinderella's Castle at night! 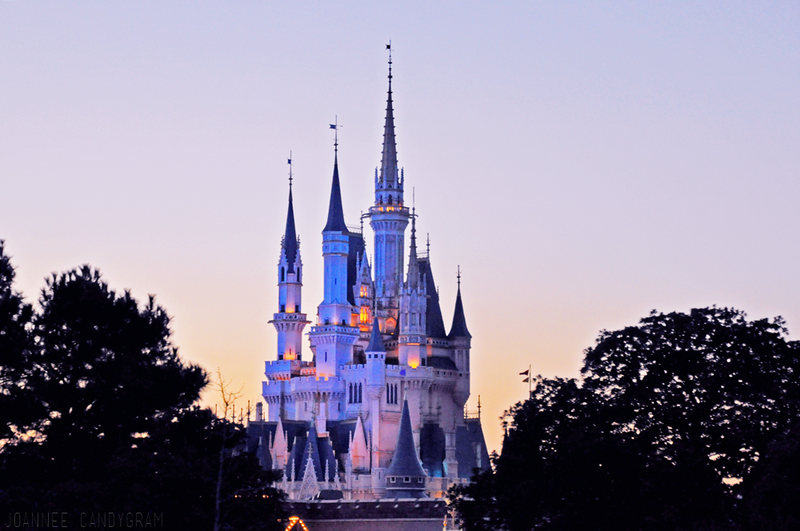 I'm really glad that I took these photos so you can see how the castle looks at different times of the day. 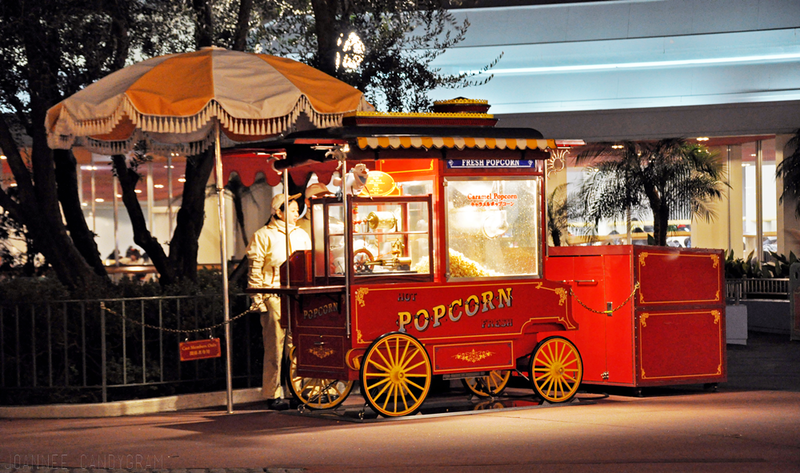 Ending my post with a photo of a popcorn cart that sold the Olaf popcorn container! 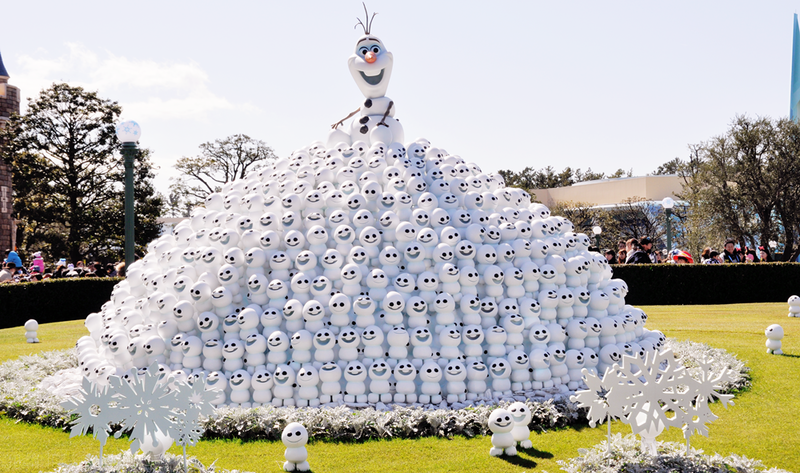 In retrospect, I kinda regret not getting the Olaf one. 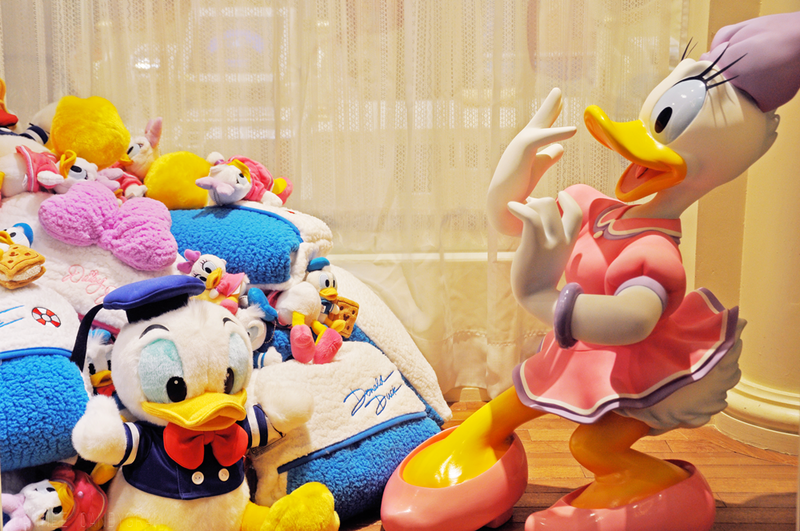 I will be posting up the stuff I bought from Tokyo Disneyland together with the rest of my Tokyo haul because that's how I stupidly took the photos lol. 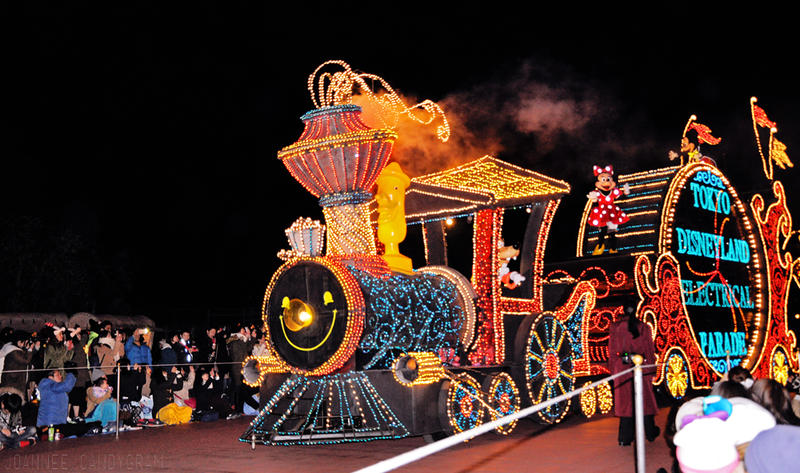 Getting the opportunity to visit Tokyo Disneyland is definitely one of the most magical things that has happened in my life and I will definitely hold this memory very very close to my heart. It was truly an experience on its own and I will definitely be back again one day!